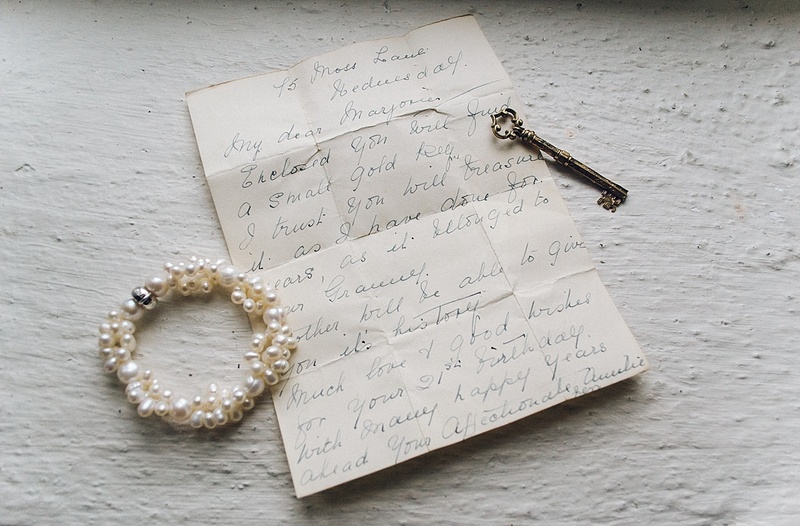 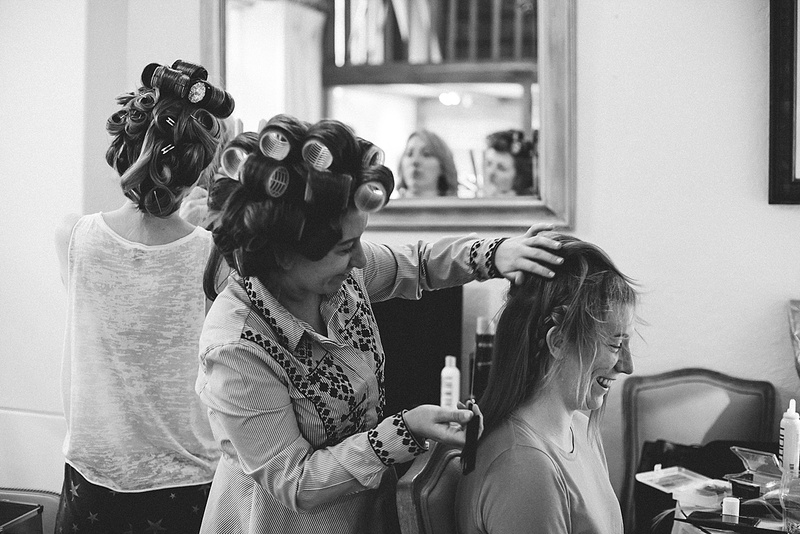 From the very first minute I met Becky, I knew how fun and relaxed she was going to be. 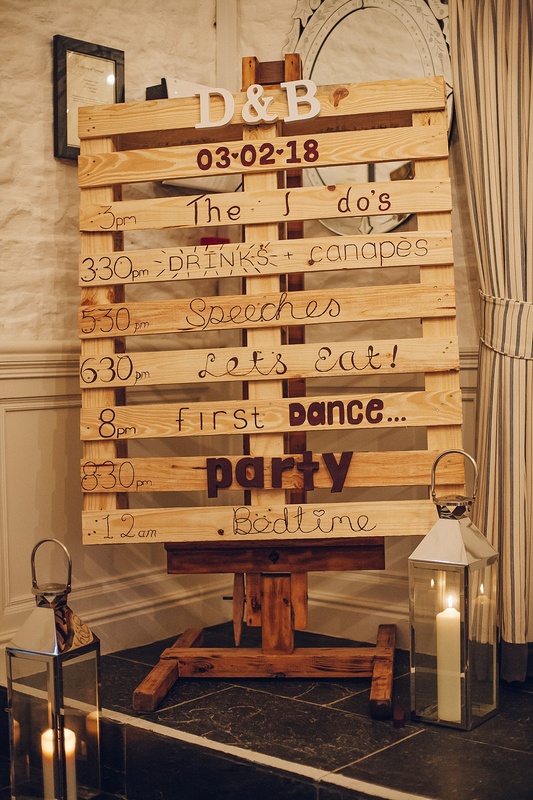 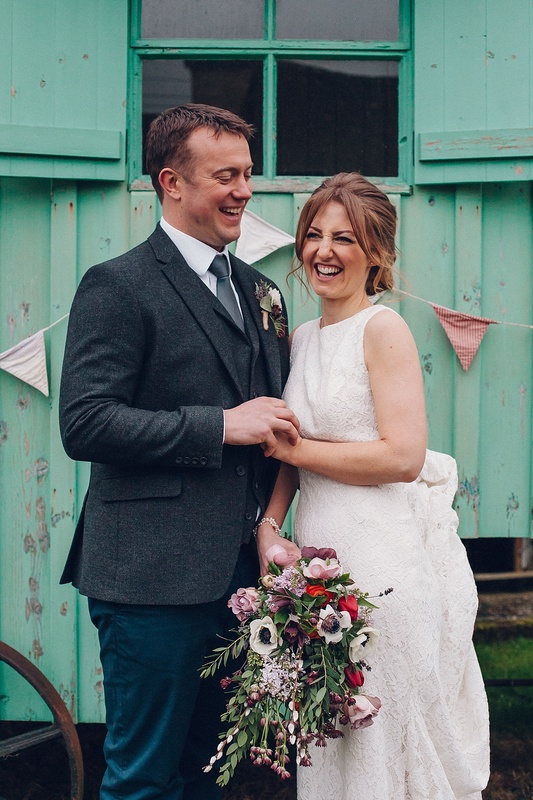 Literally from beginning to end Becky & Dan were the most chilled out couple ever and had so much fun planning their wedding! 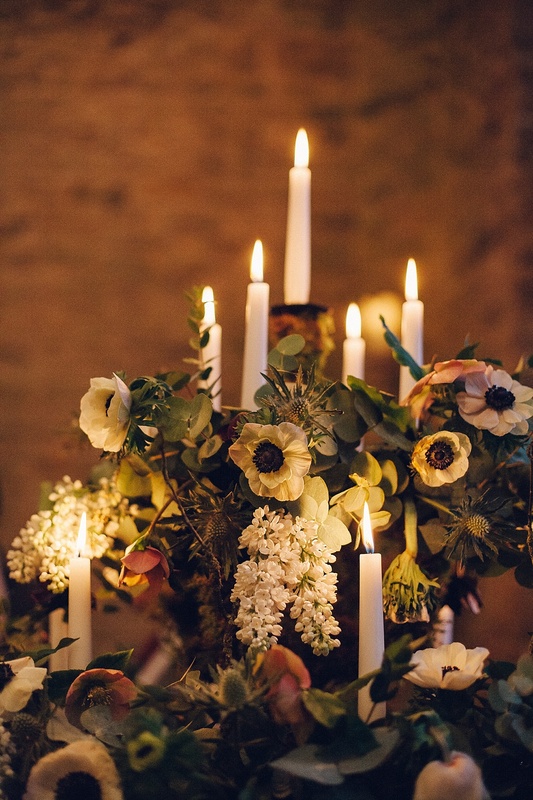 I loved our phone conversations about her beautiful bohemian ideas & inspiration and how she was going to put that into reality on the other side of Winter! 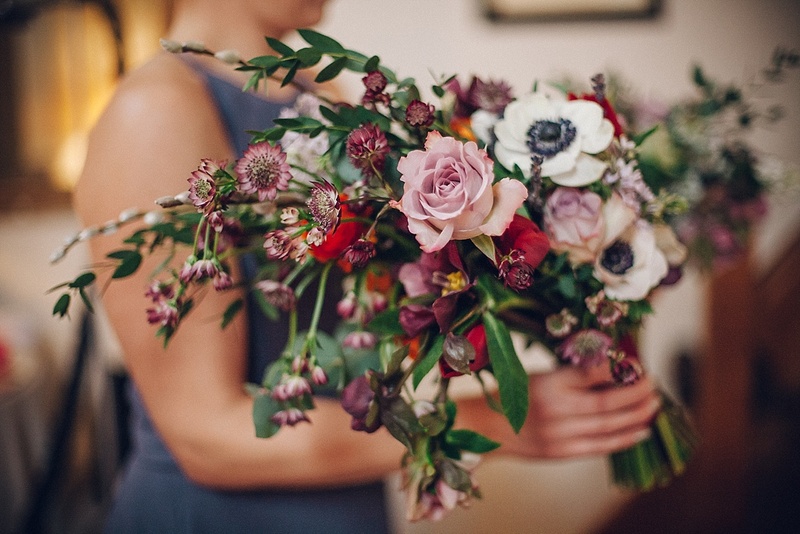 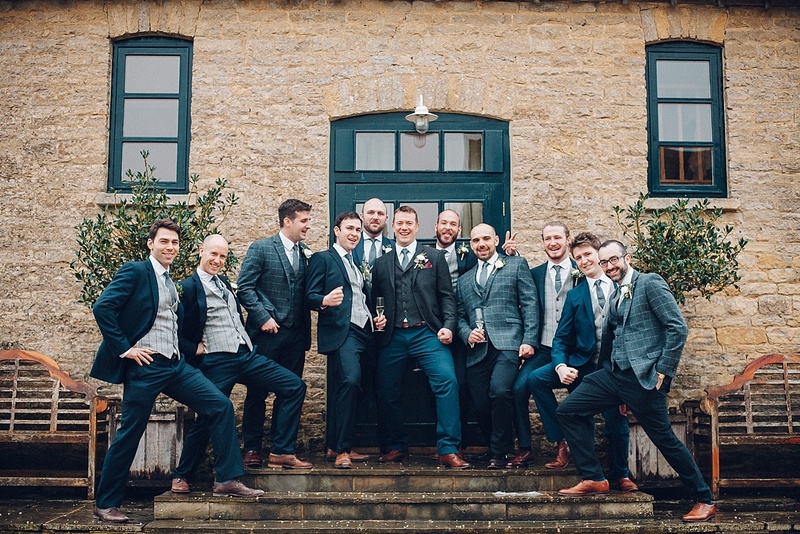 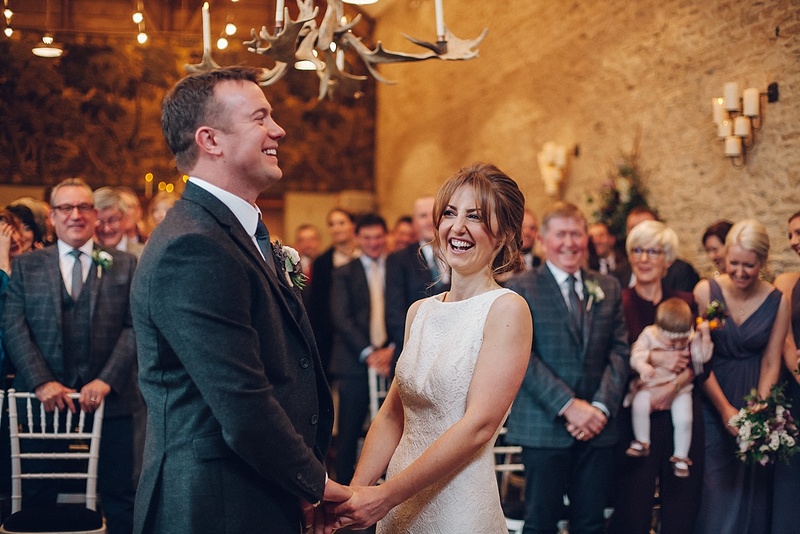 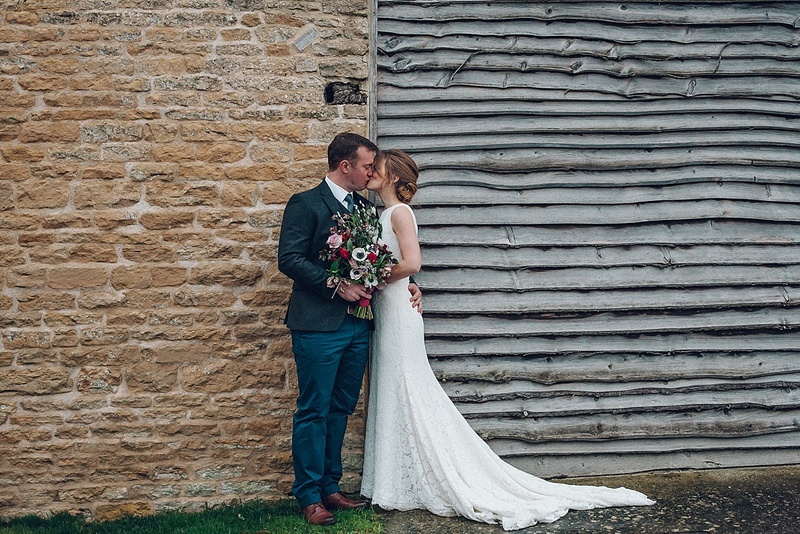 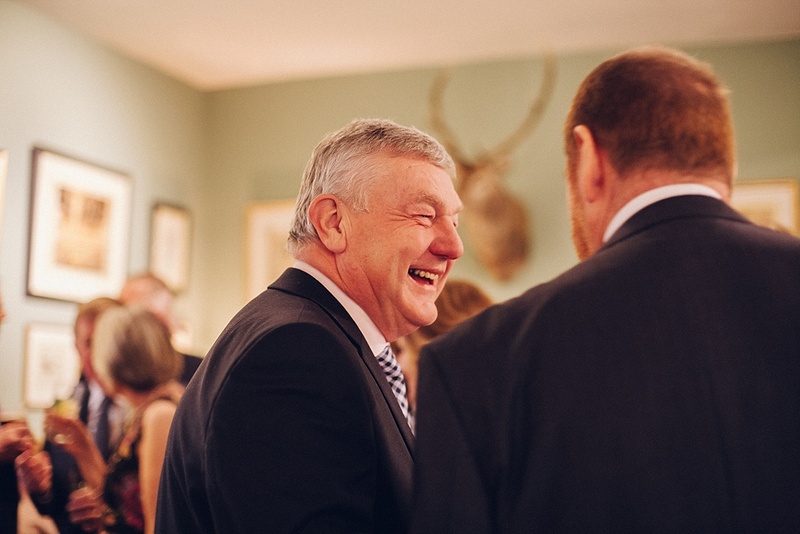 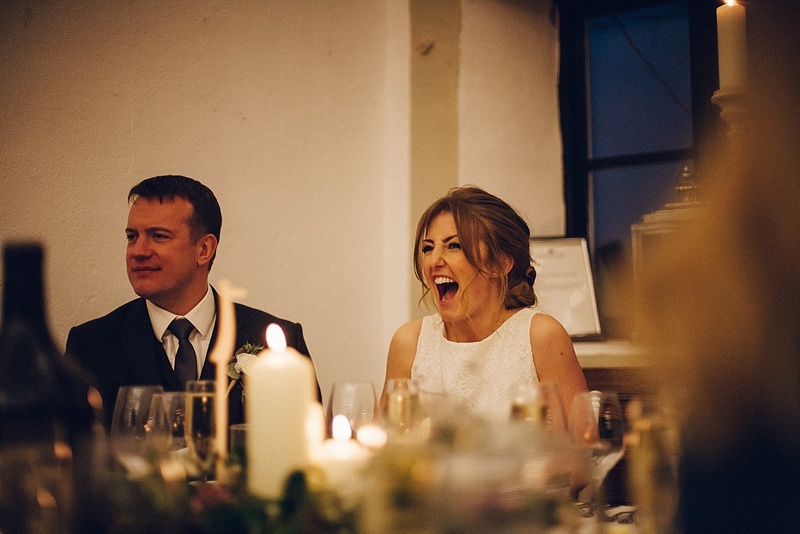 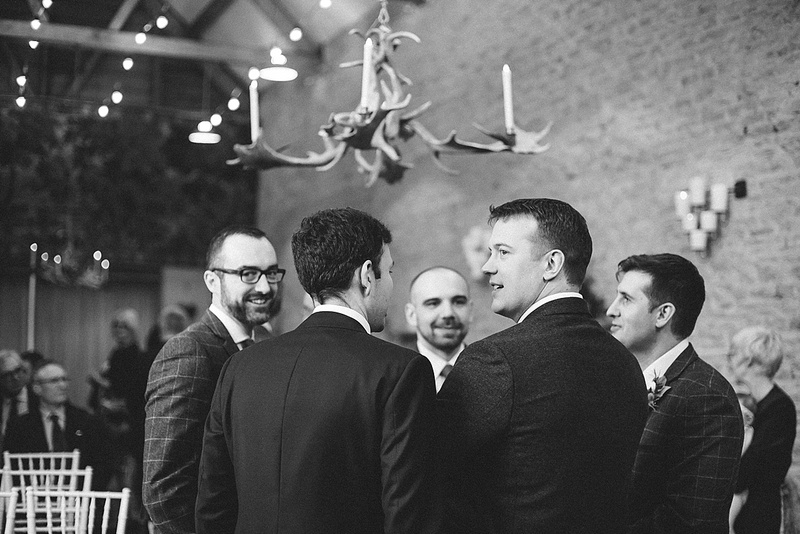 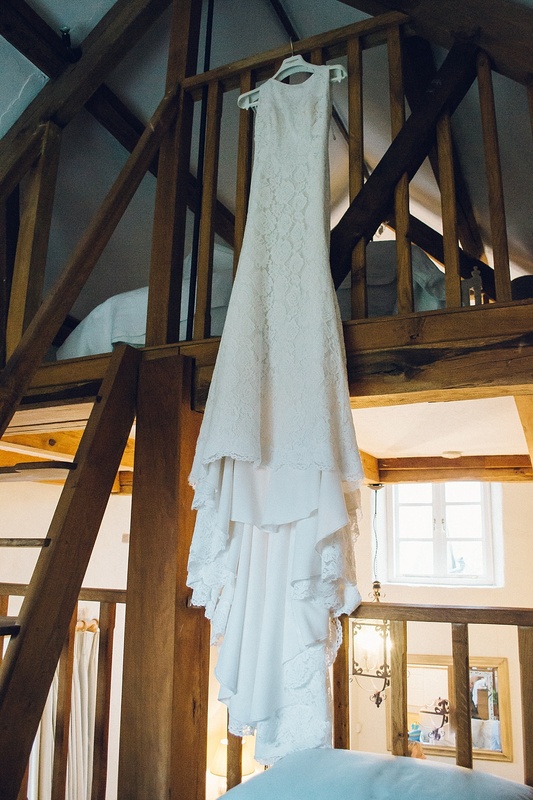 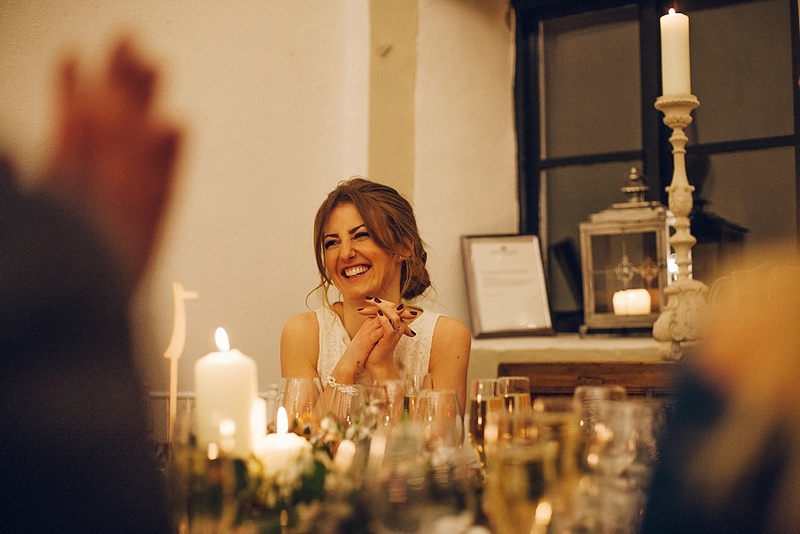 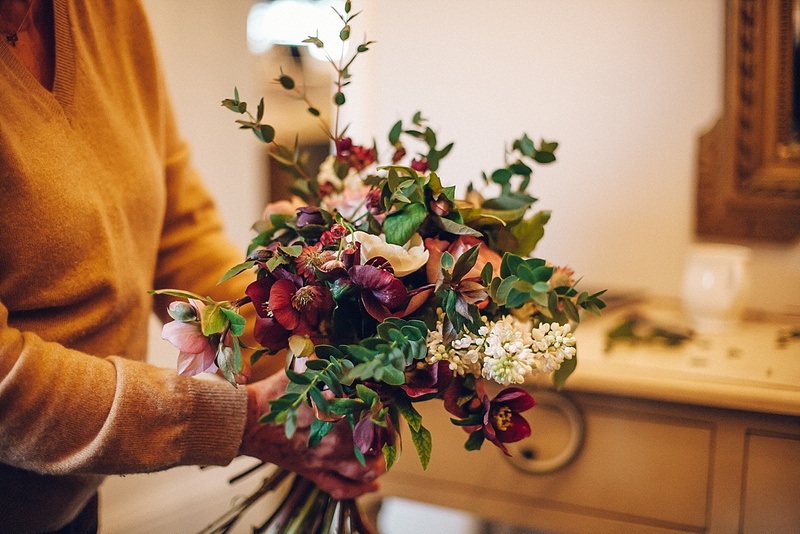 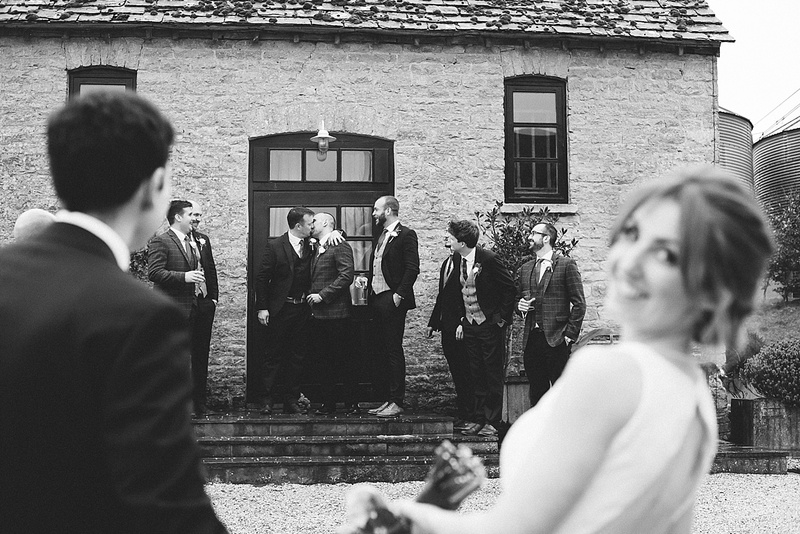 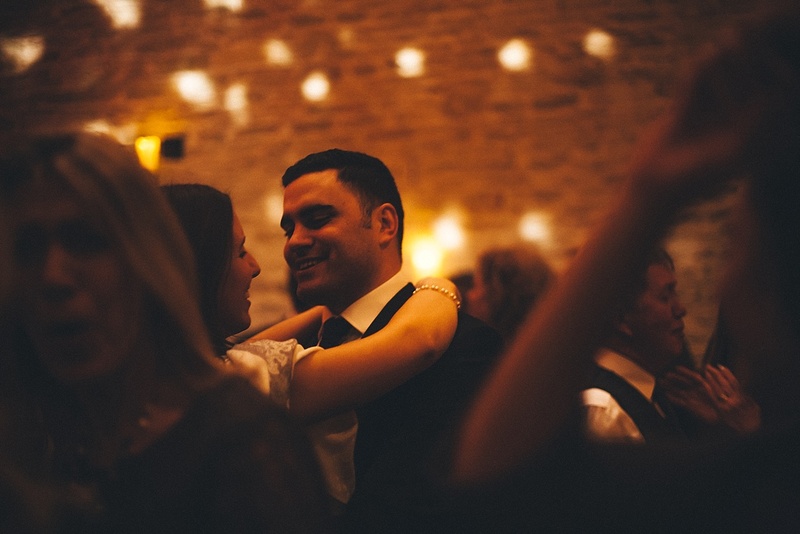 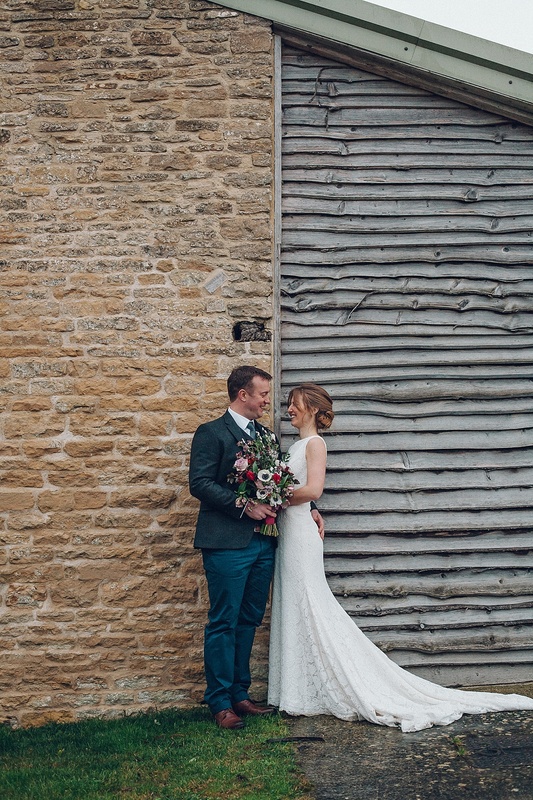 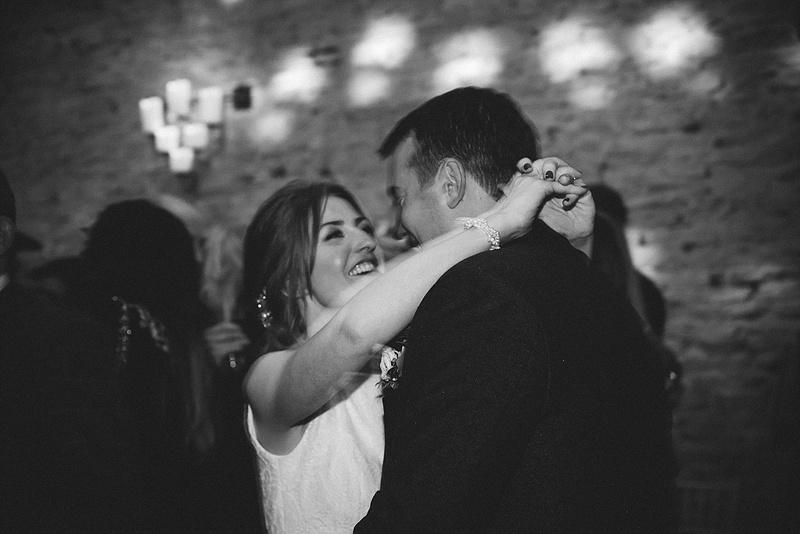 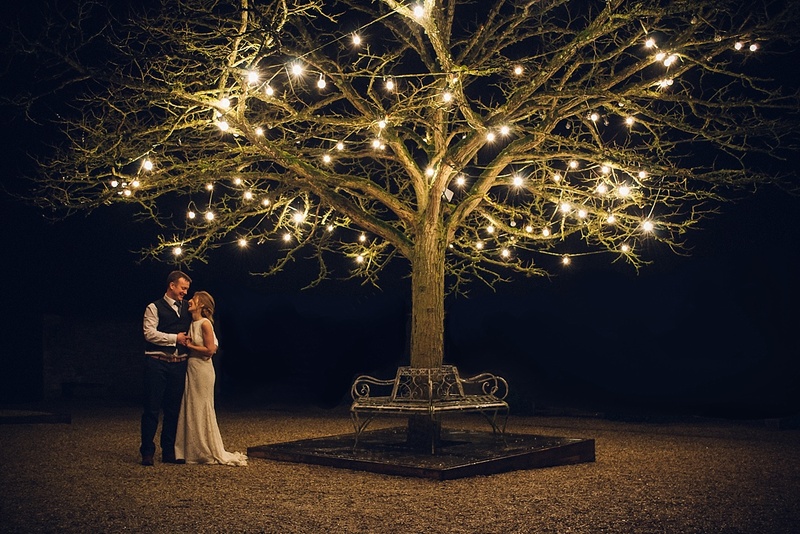 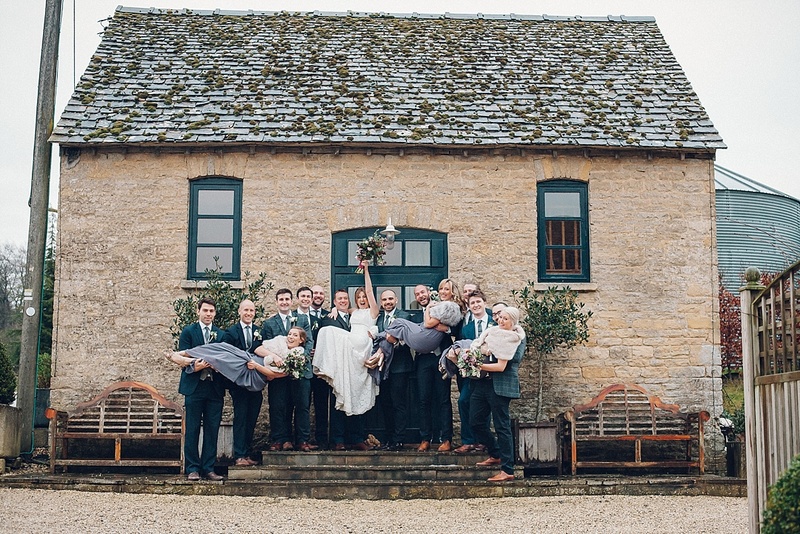 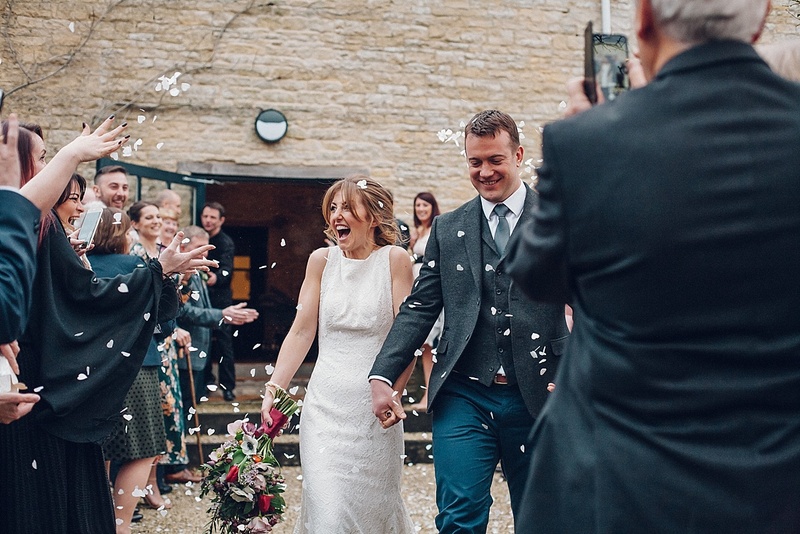 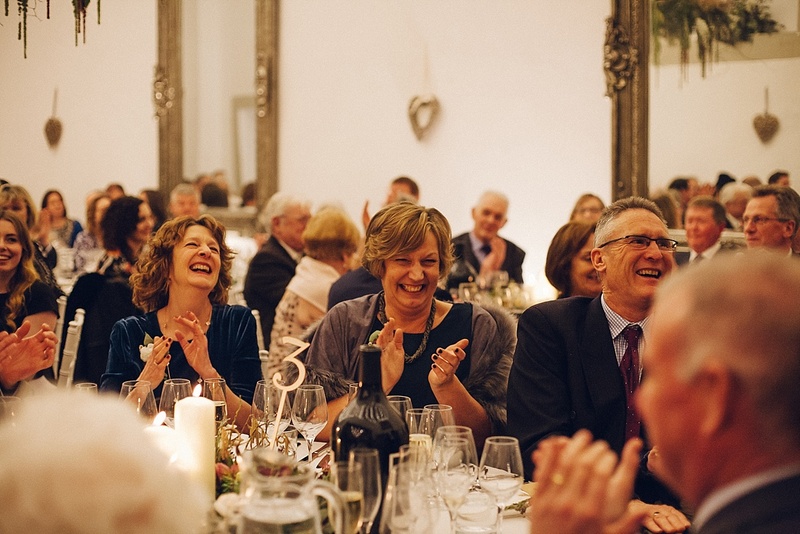 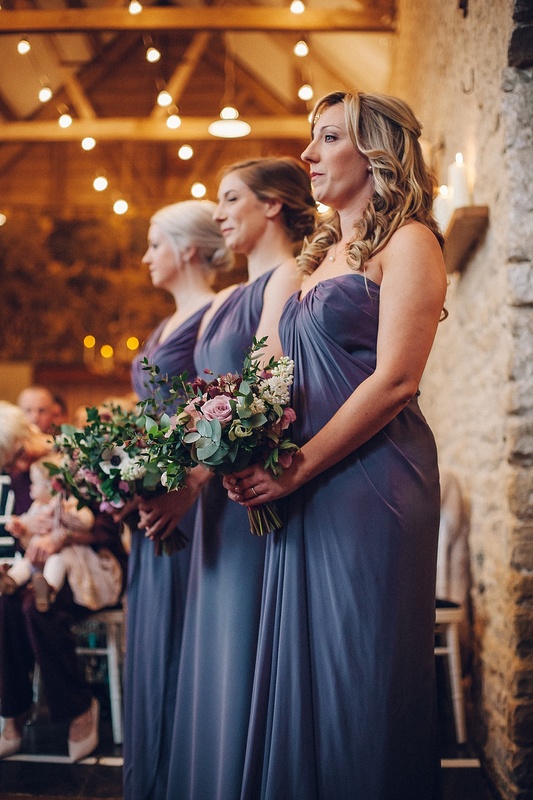 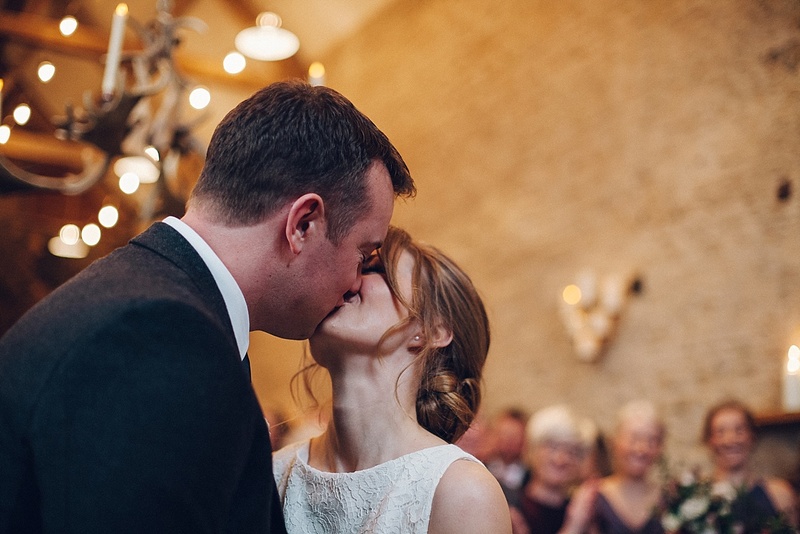 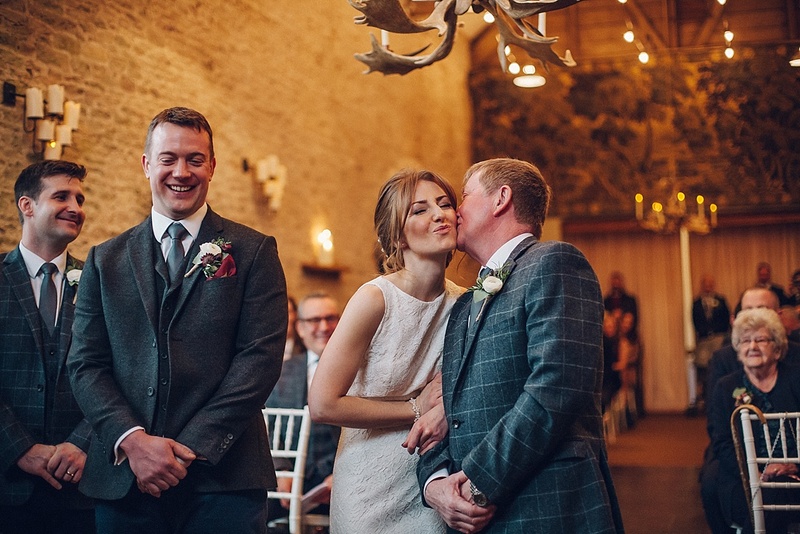 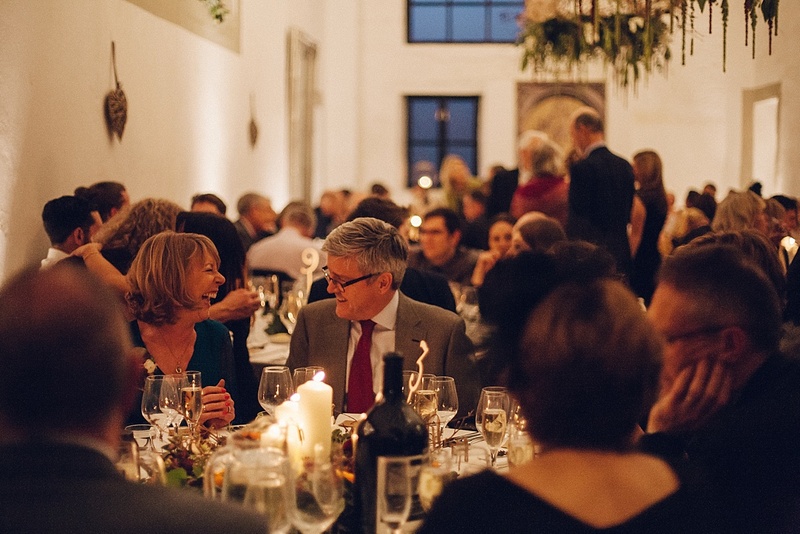 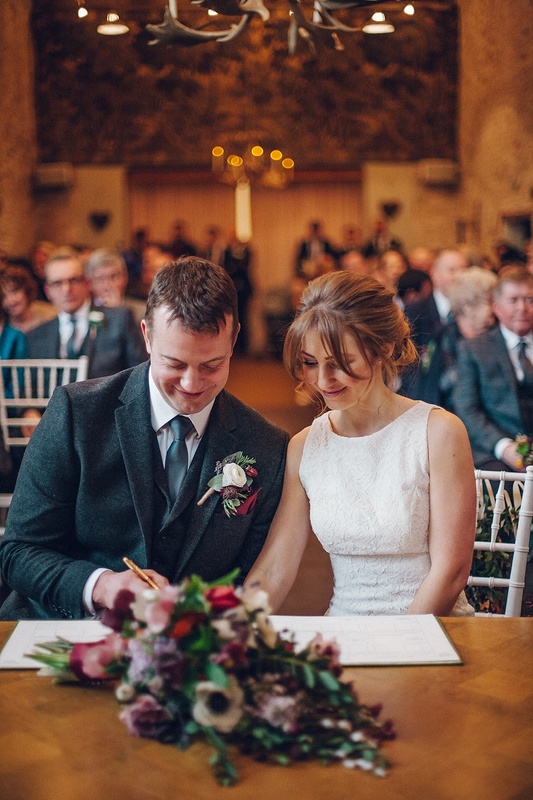 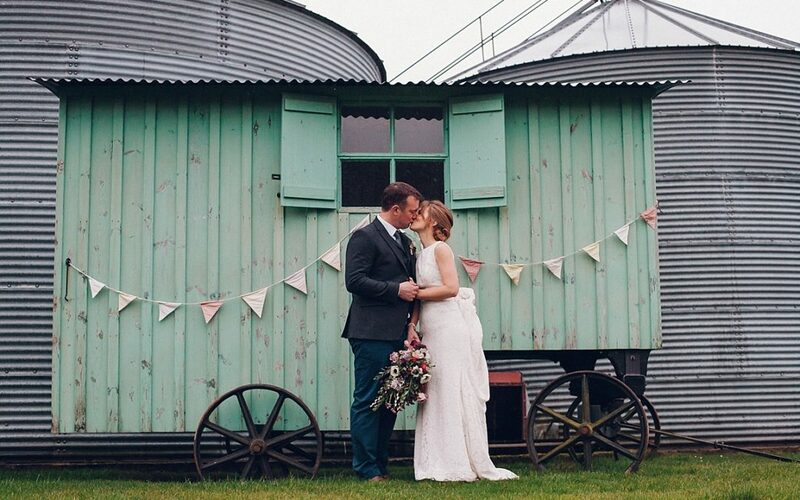 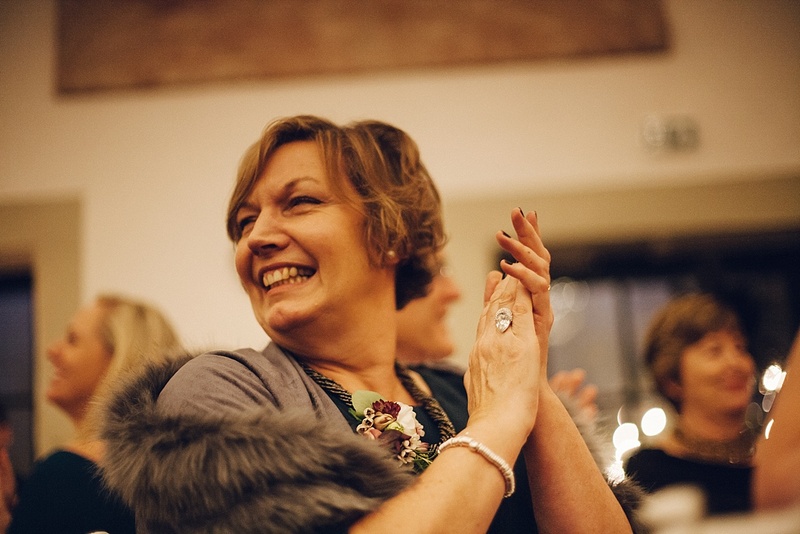 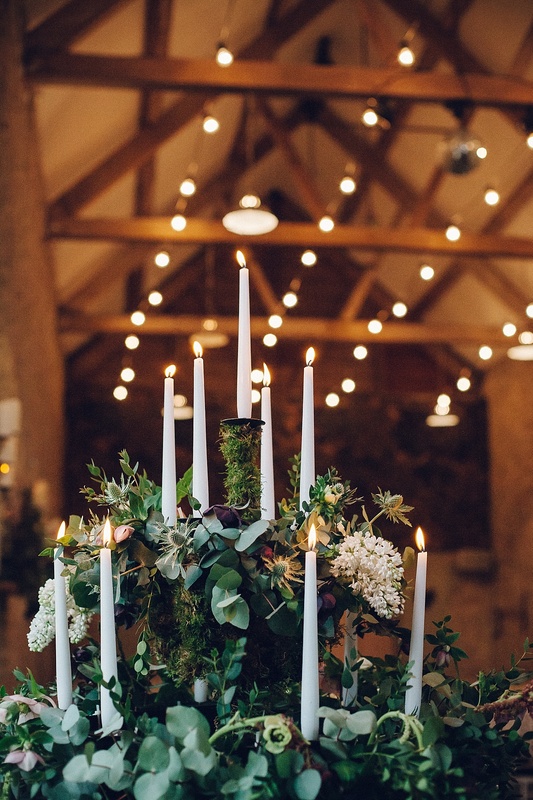 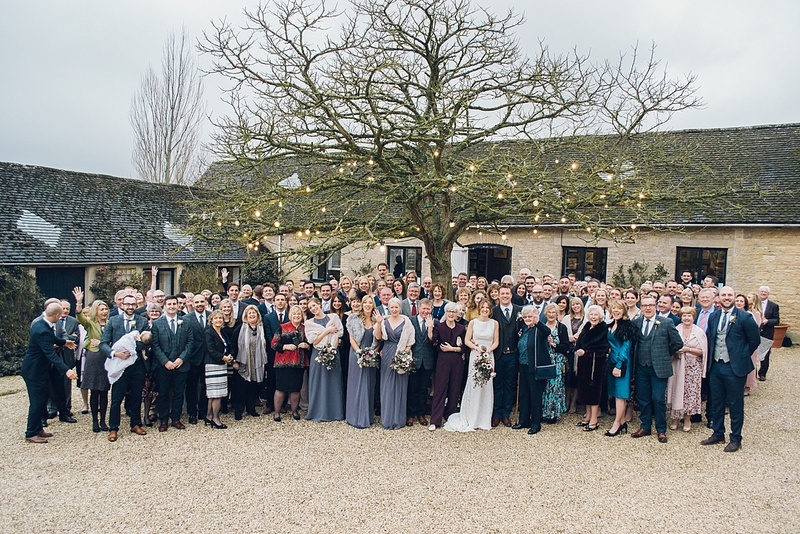 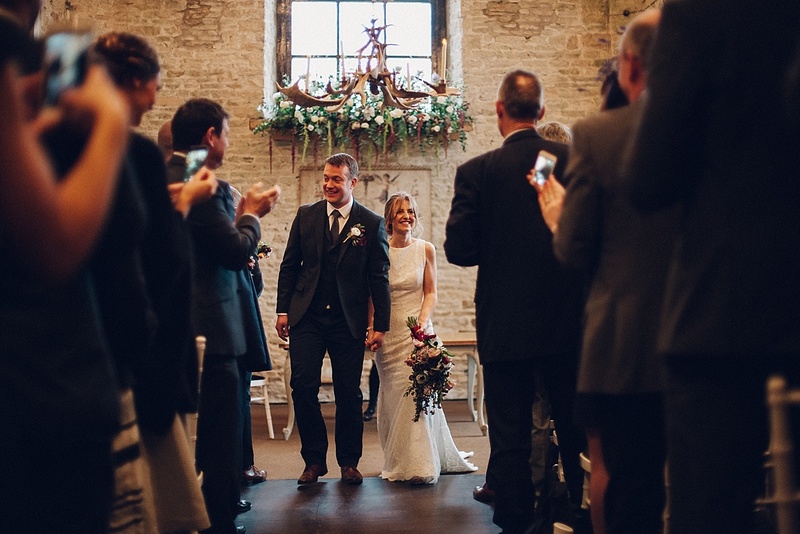 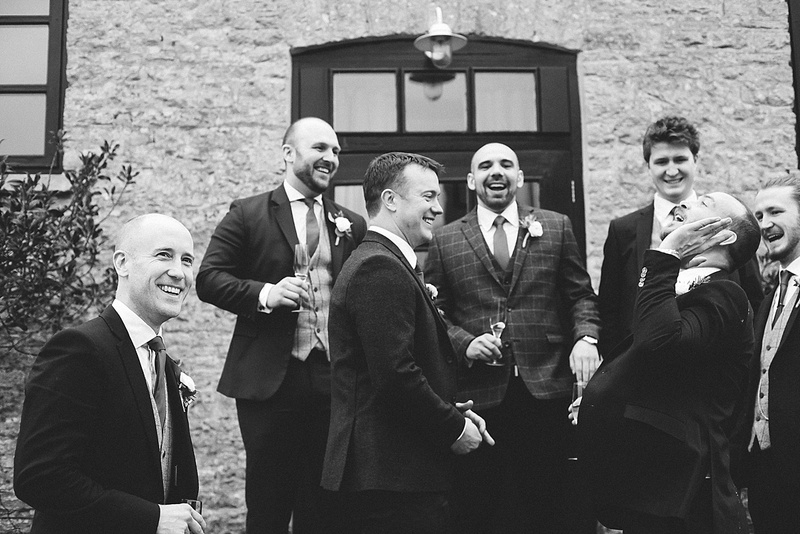 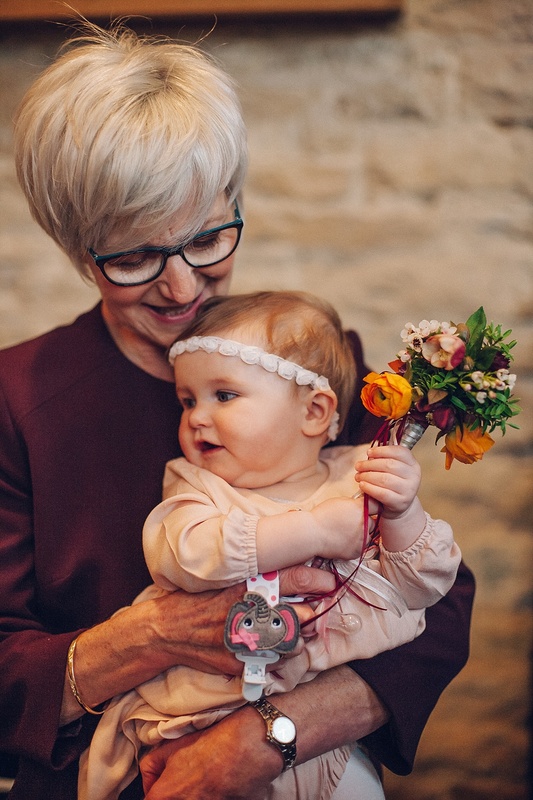 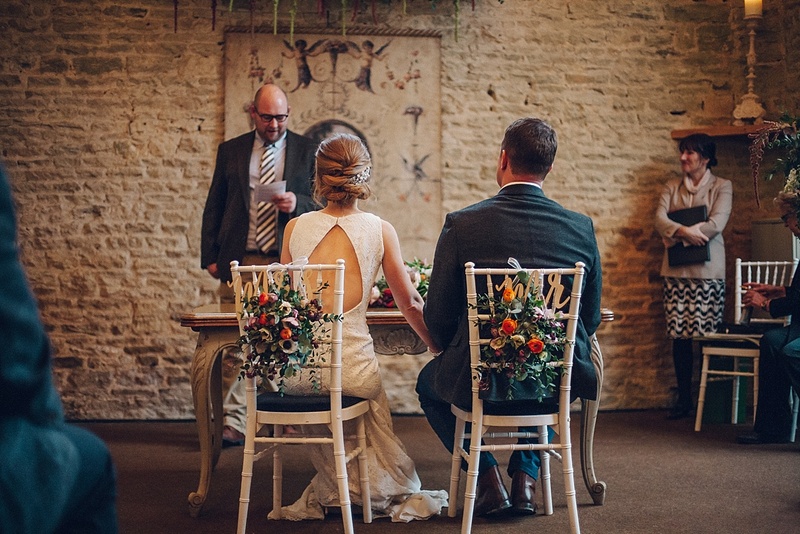 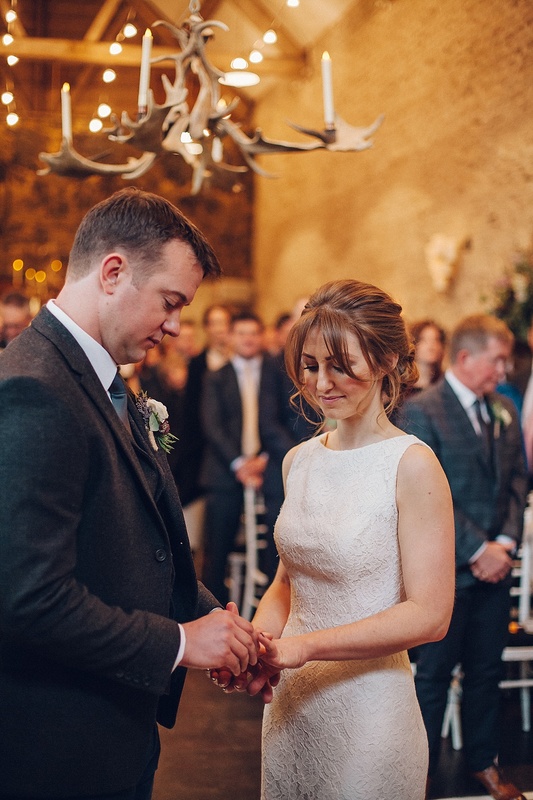 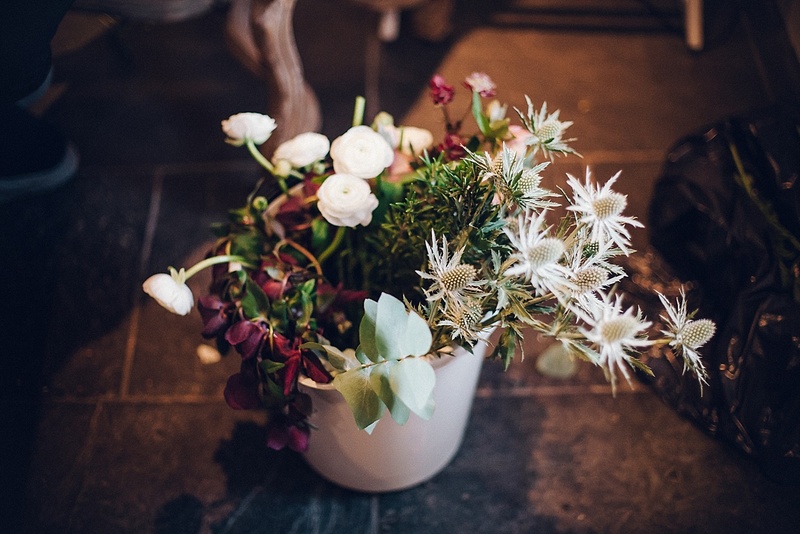 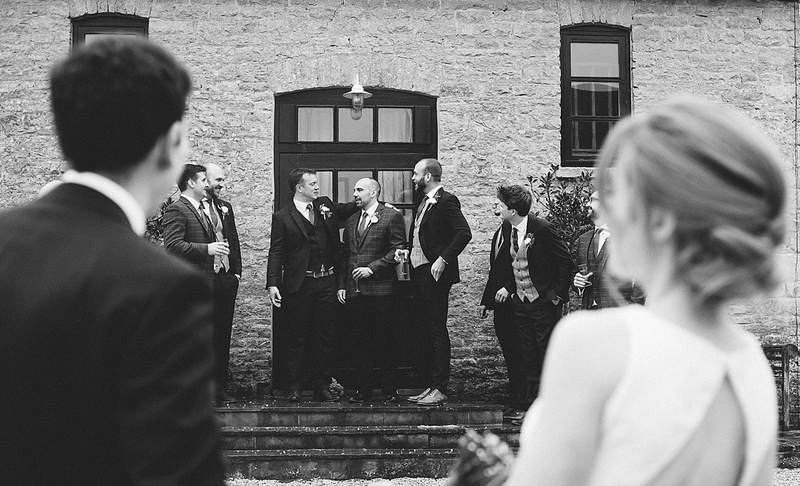 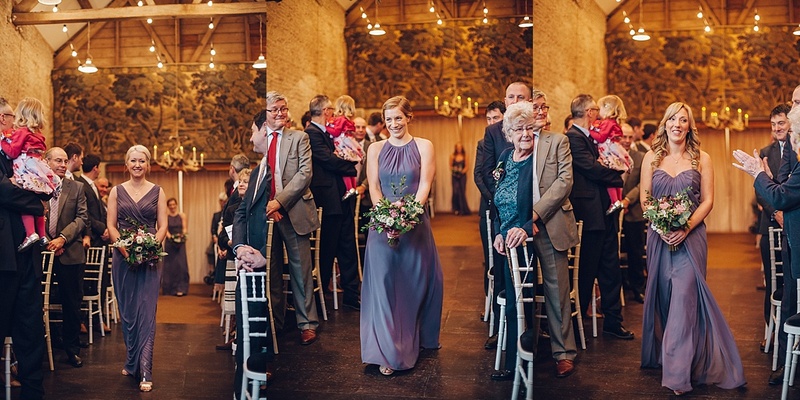 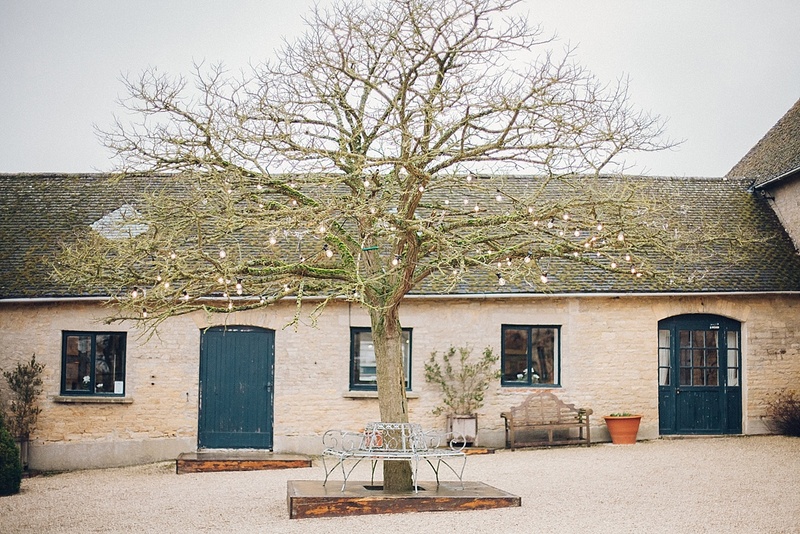 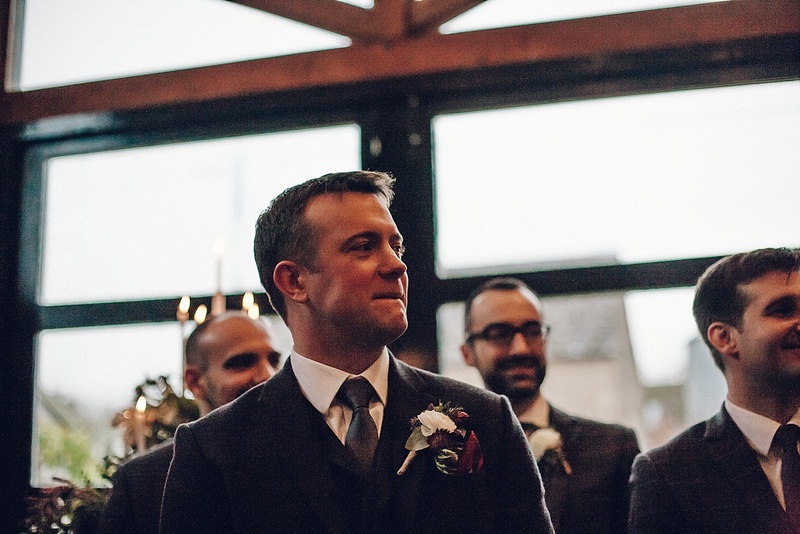 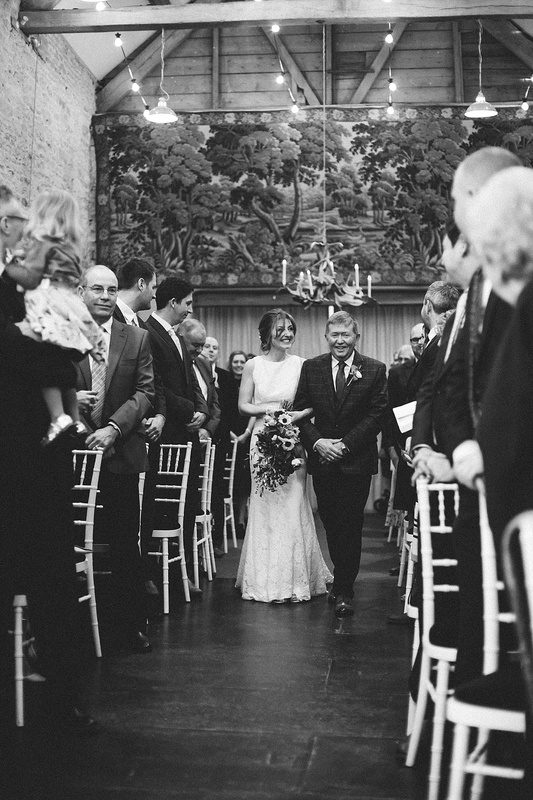 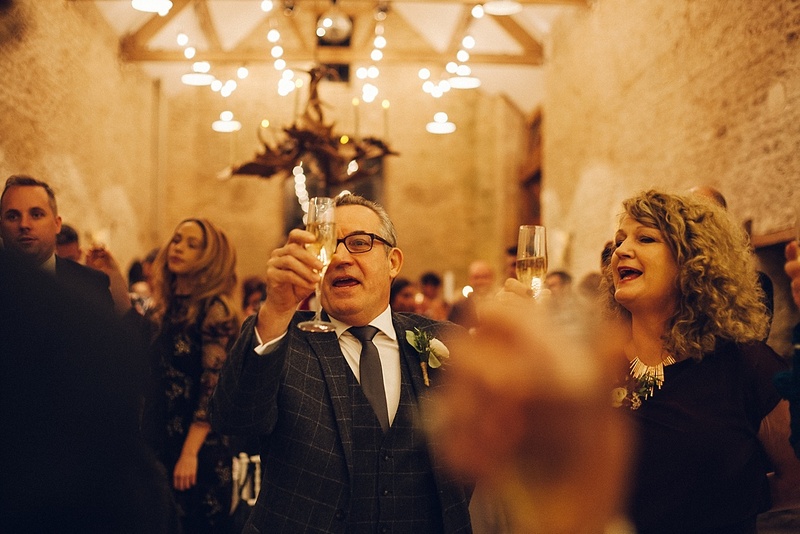 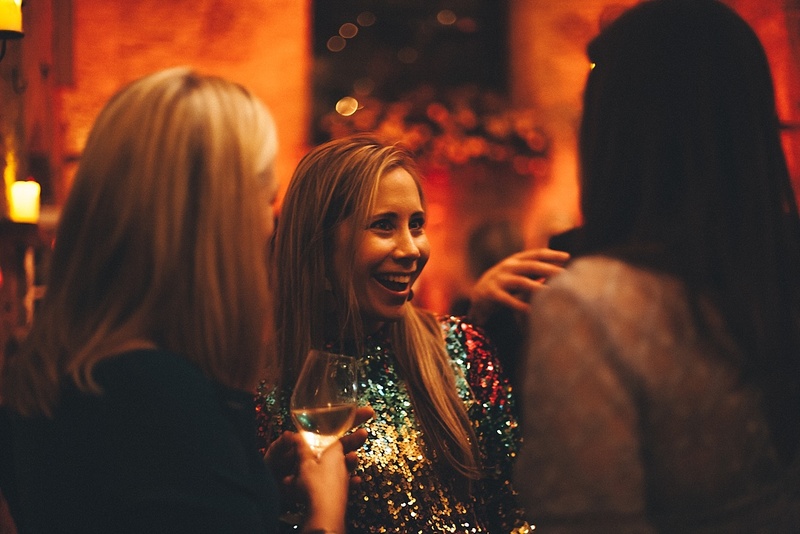 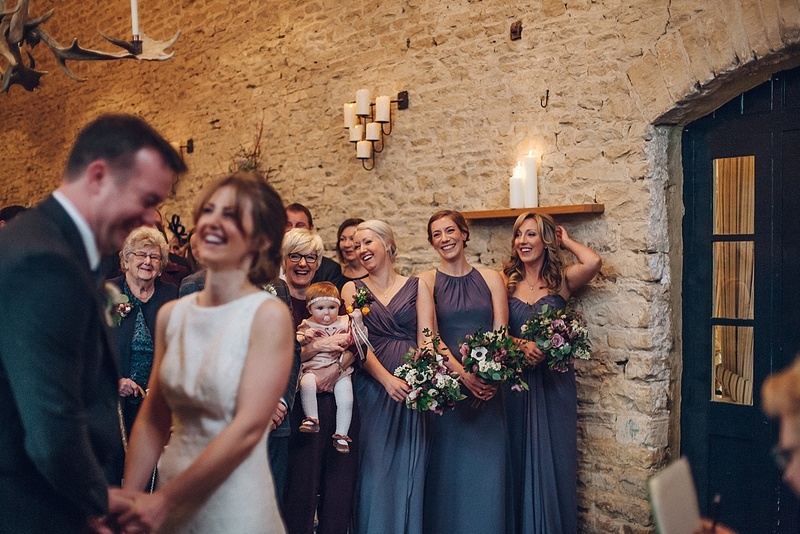 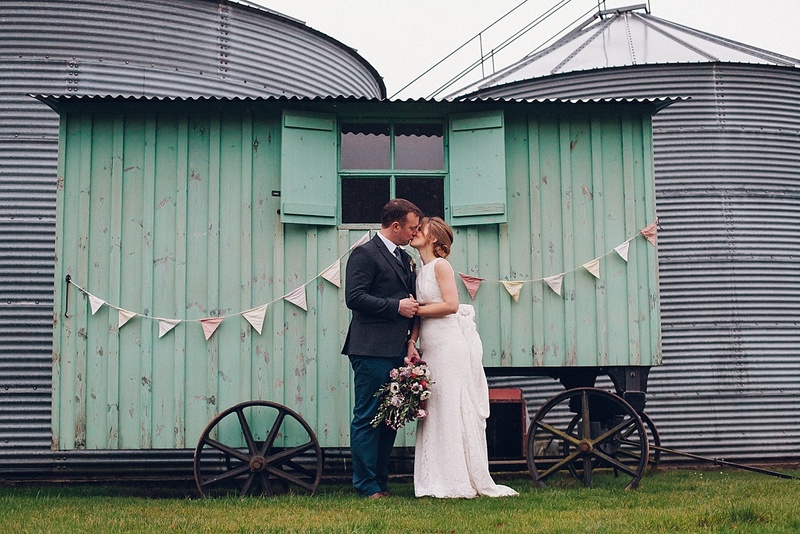 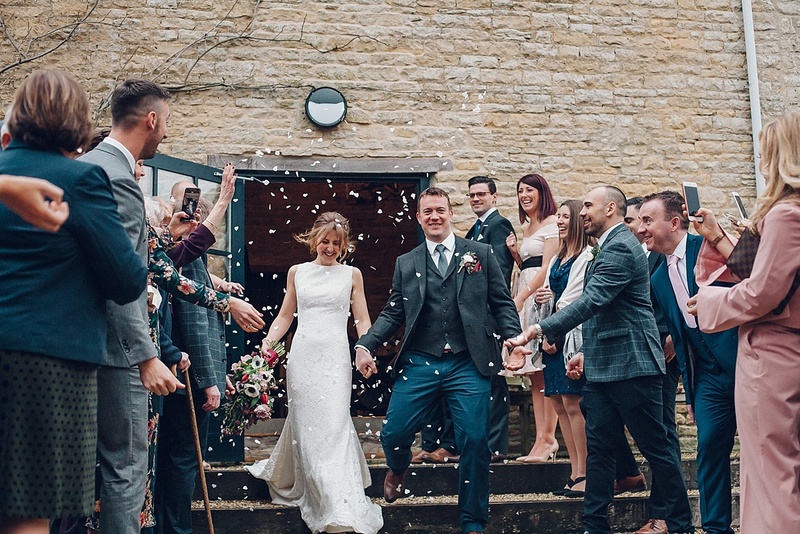 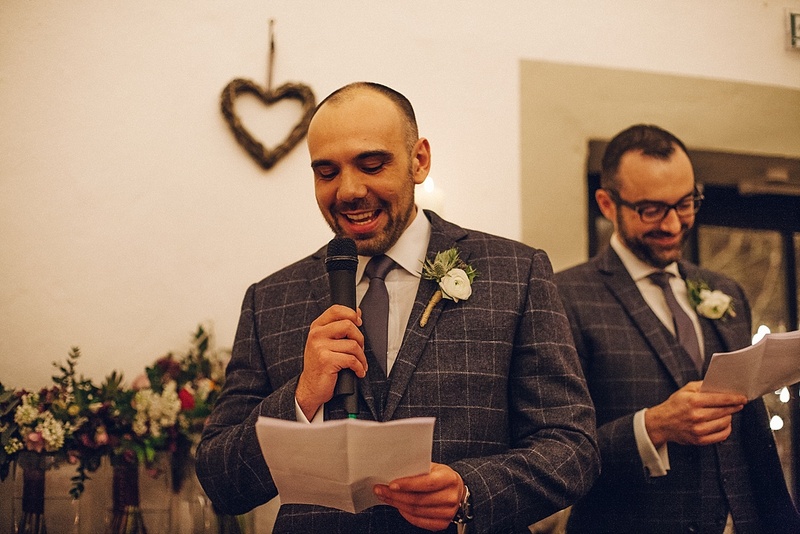 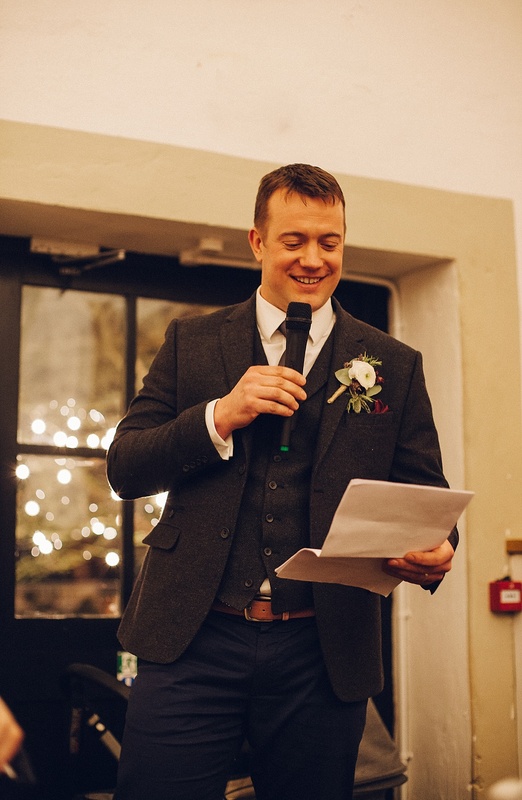 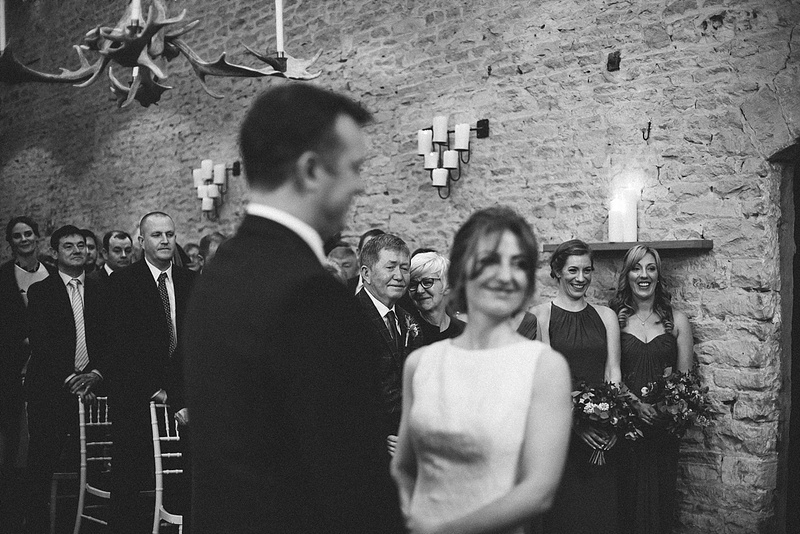 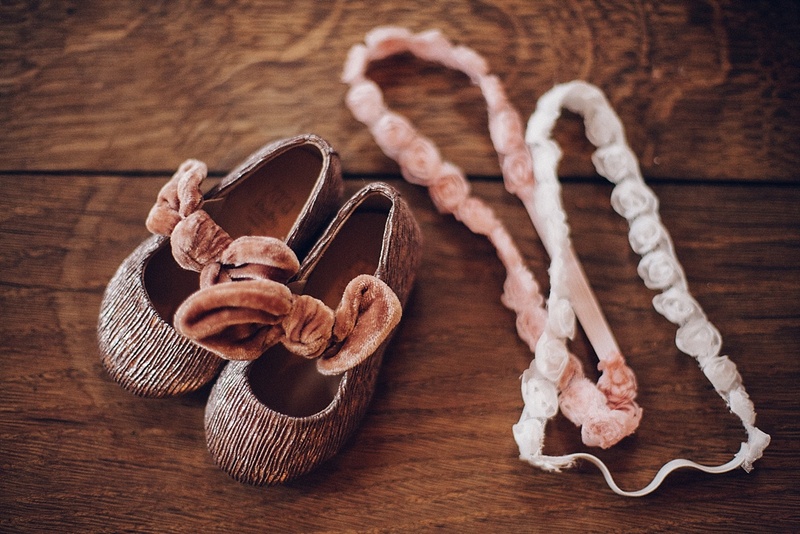 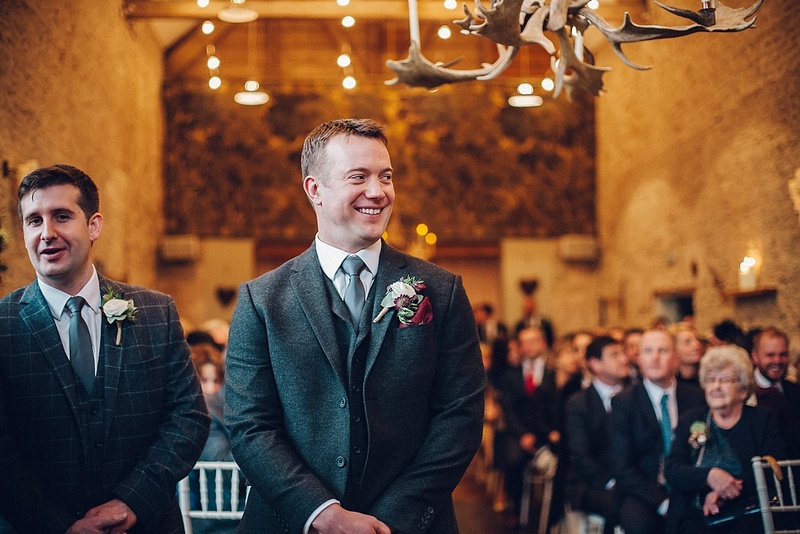 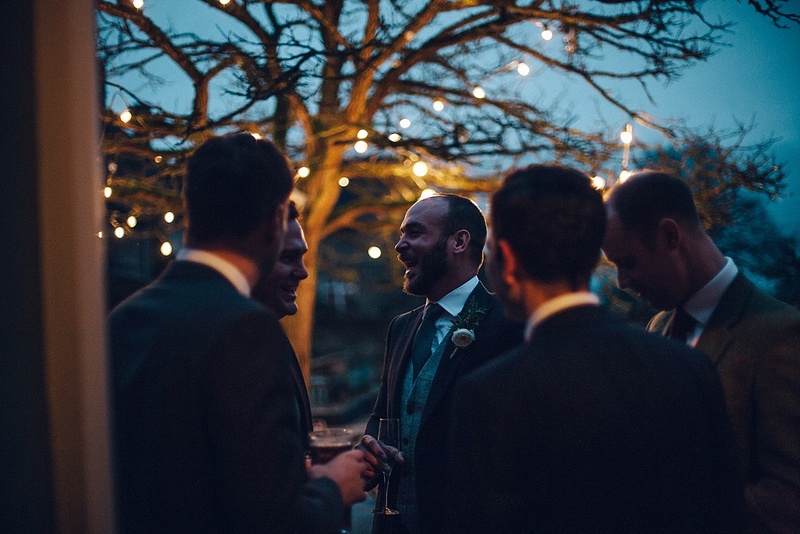 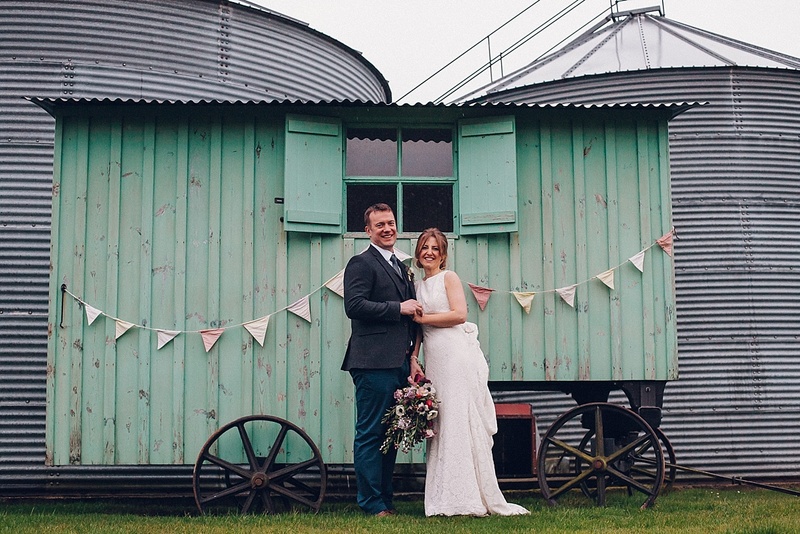 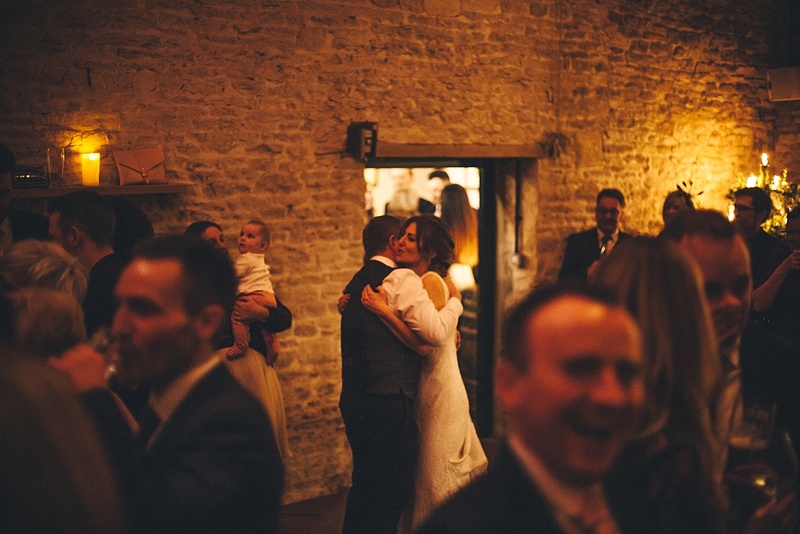 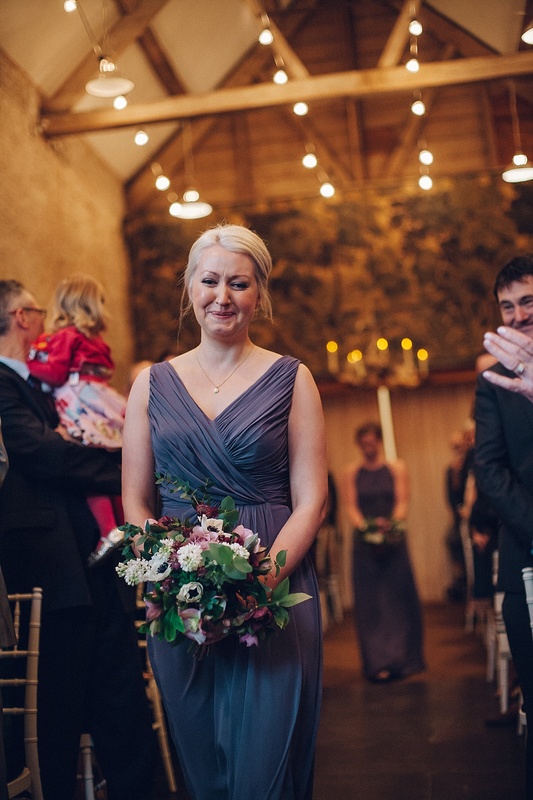 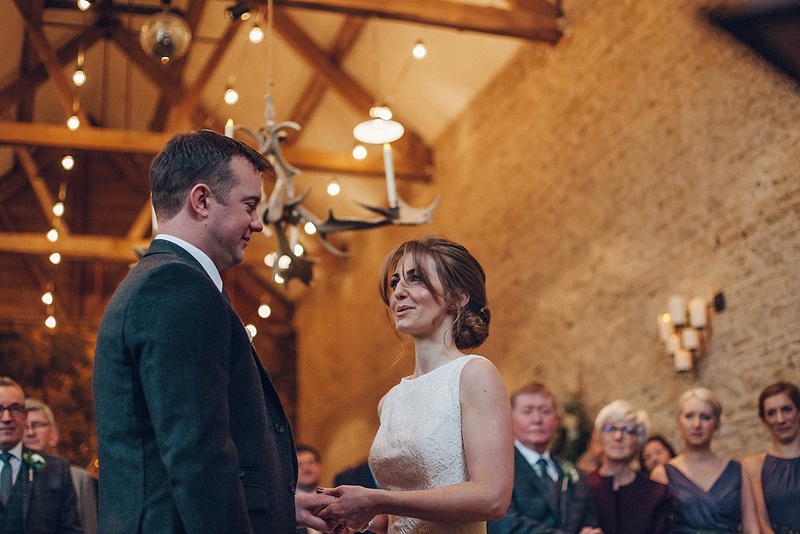 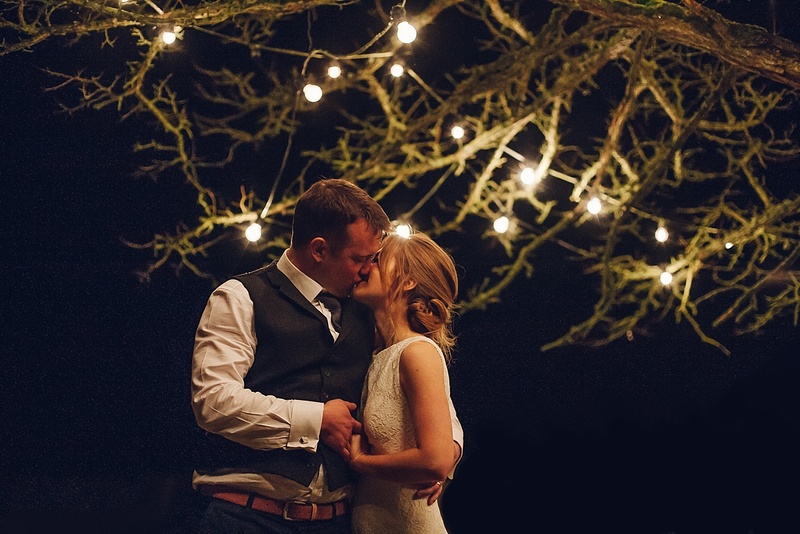 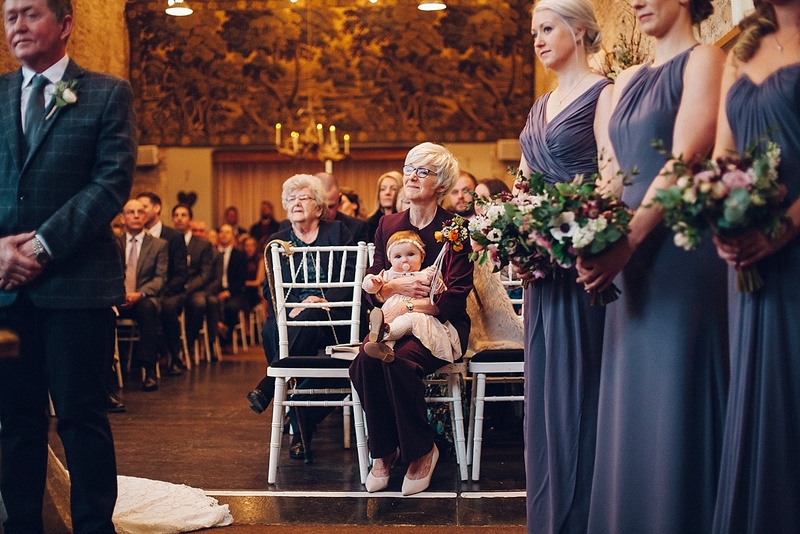 They chose the most incredible venue for the whole of their celebrations, Merriscourt Barns in Chipping Norton, The Cotswolds which just made everything so cosy and beautiful. 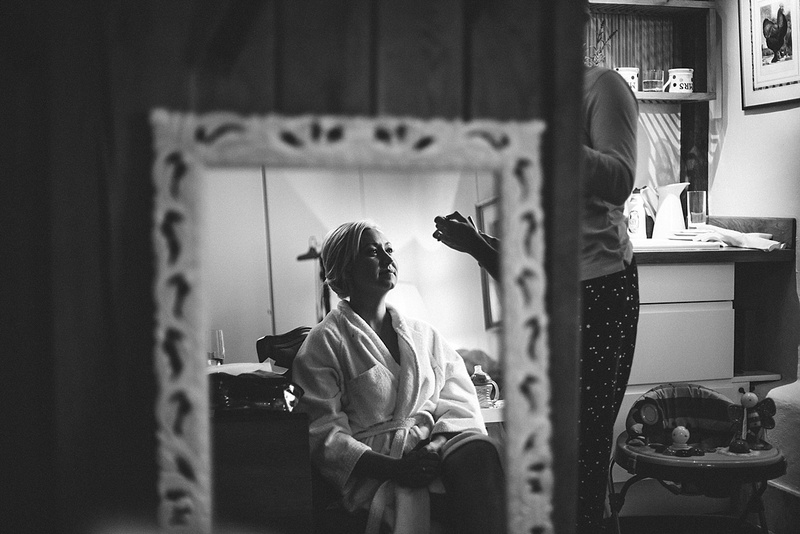 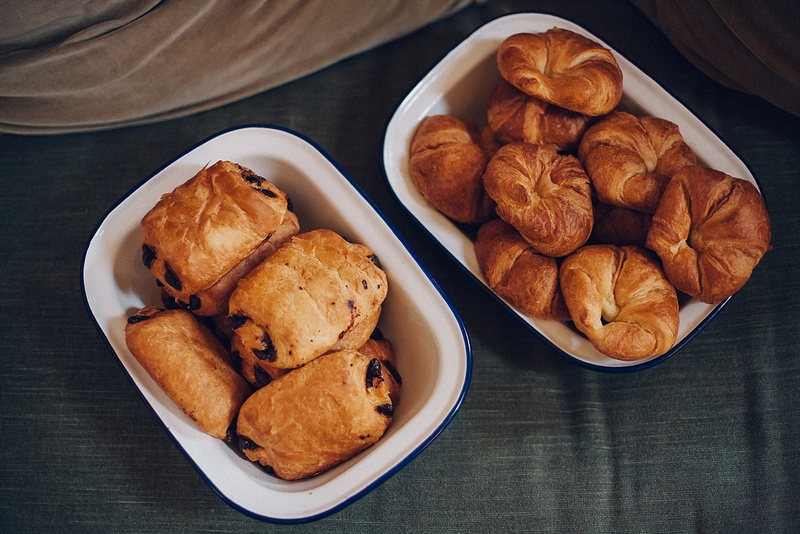 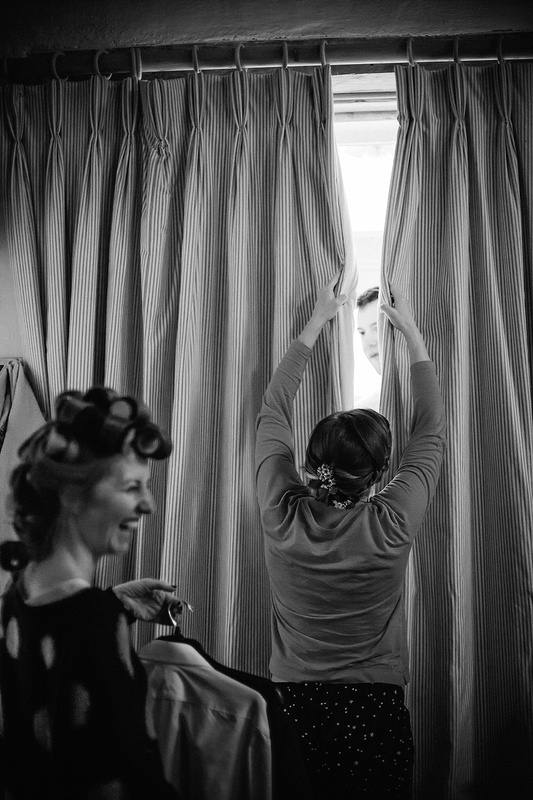 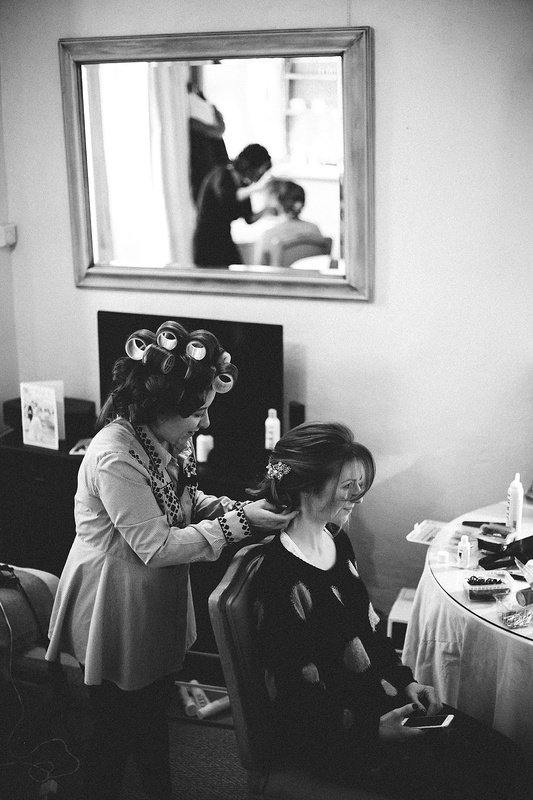 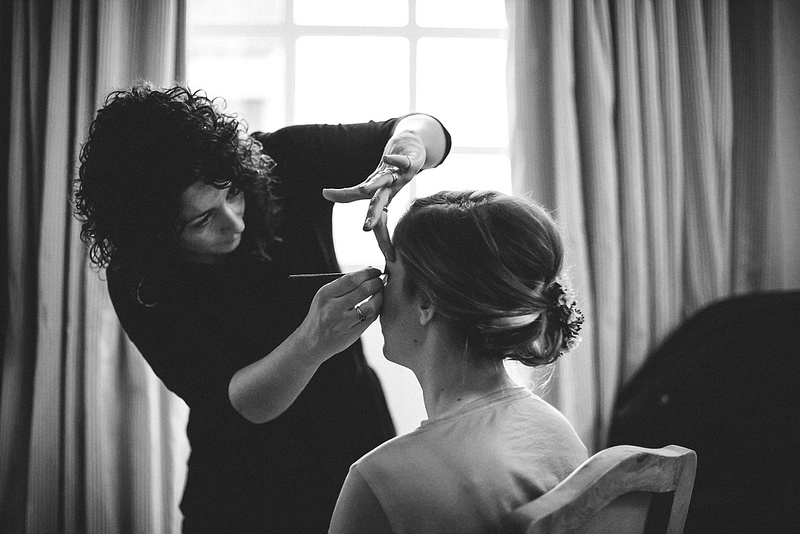 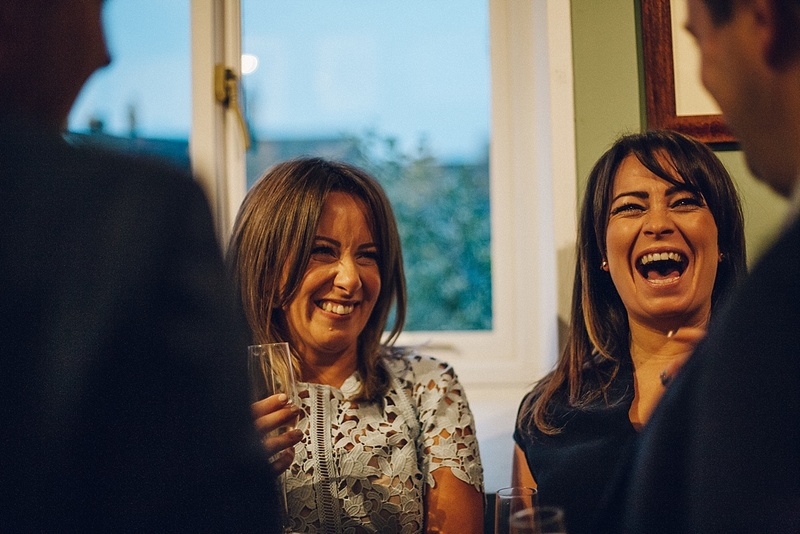 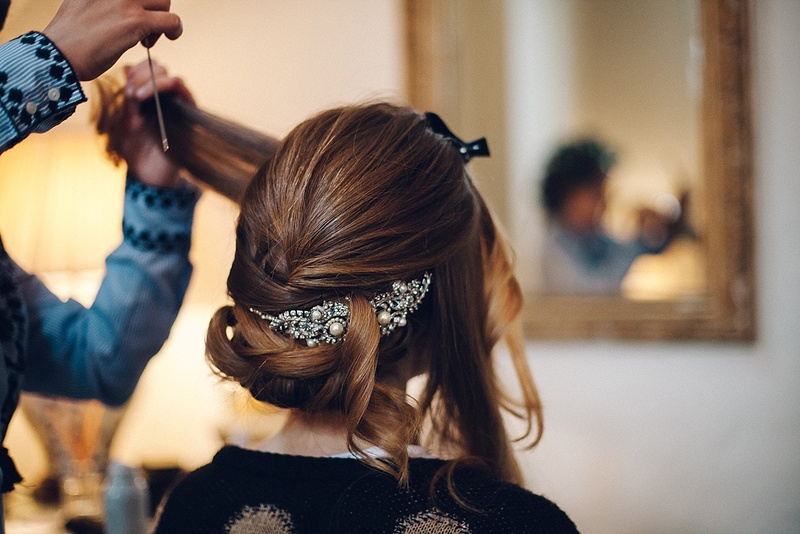 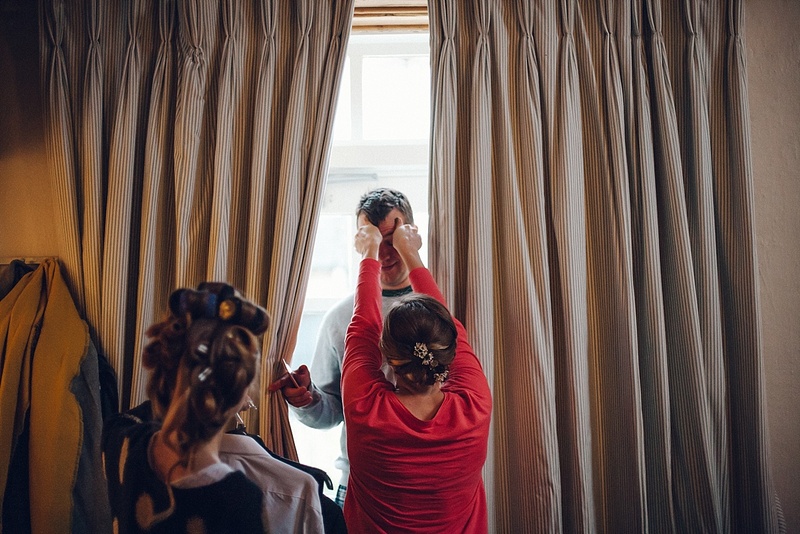 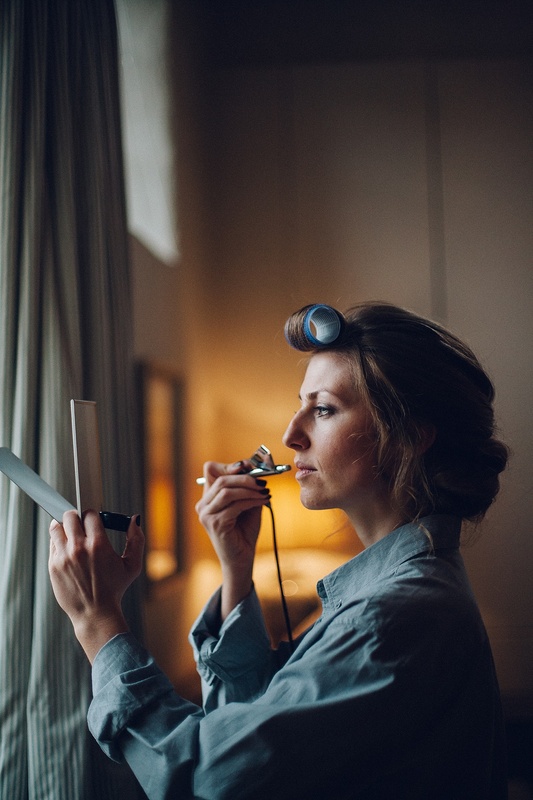 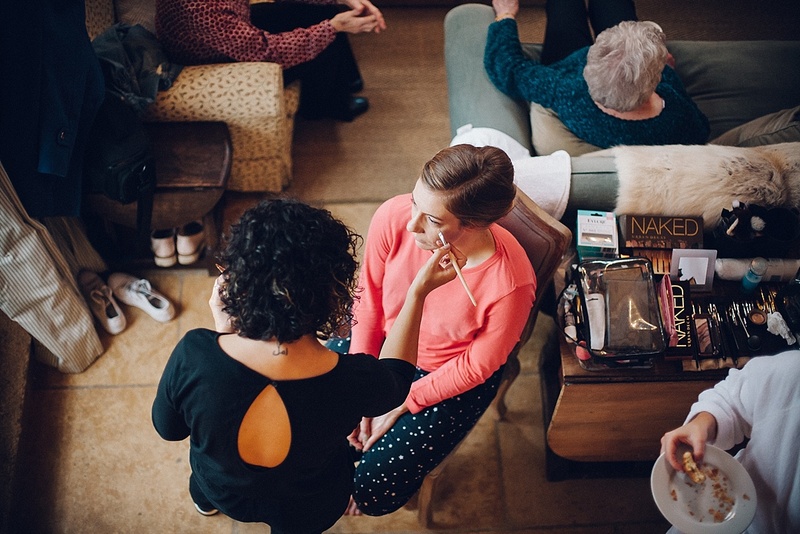 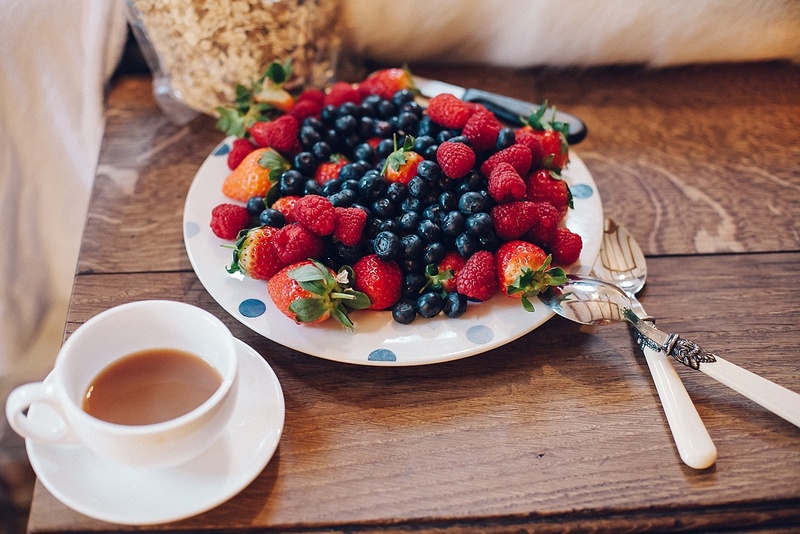 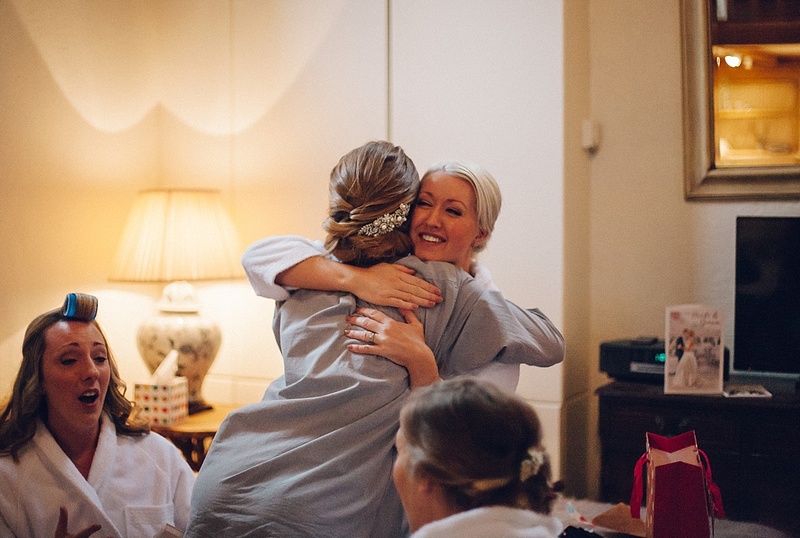 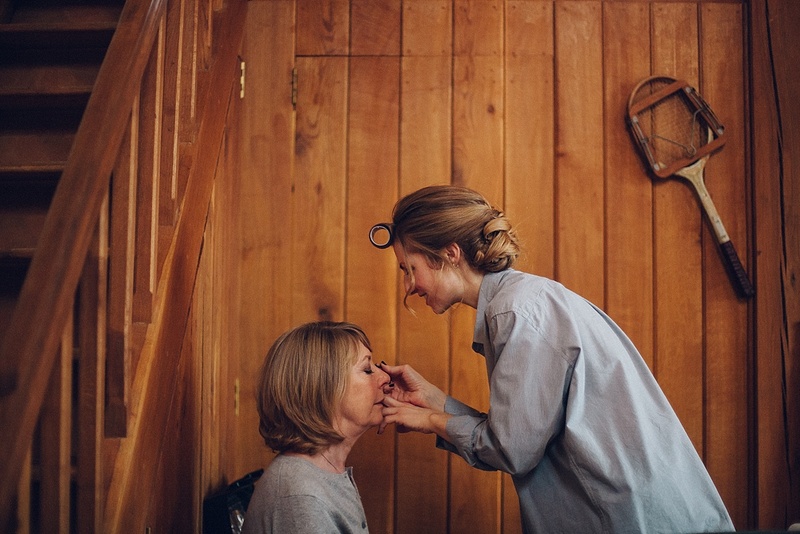 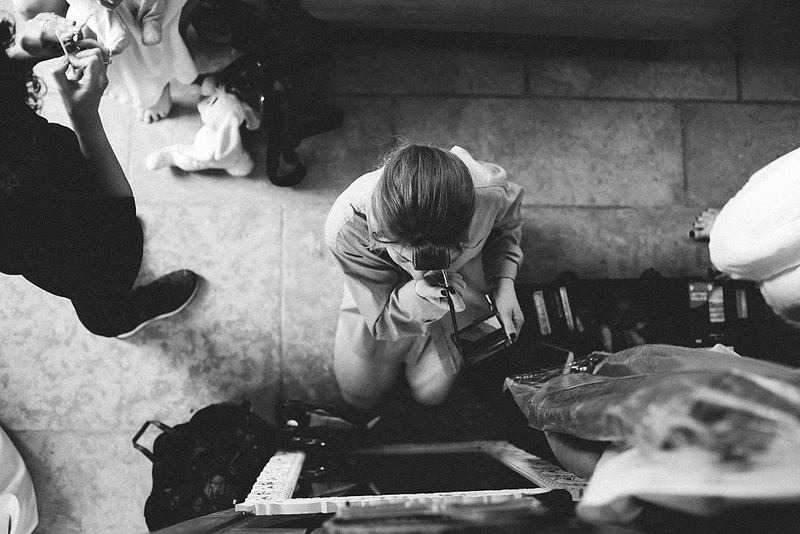 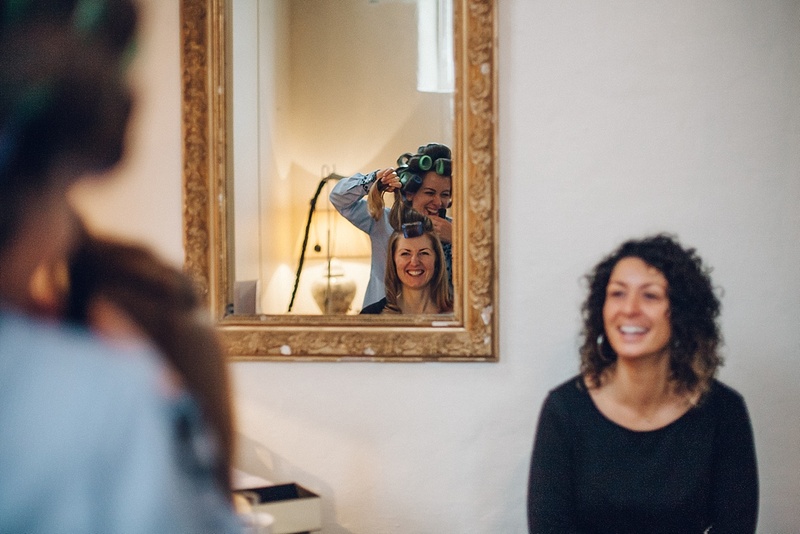 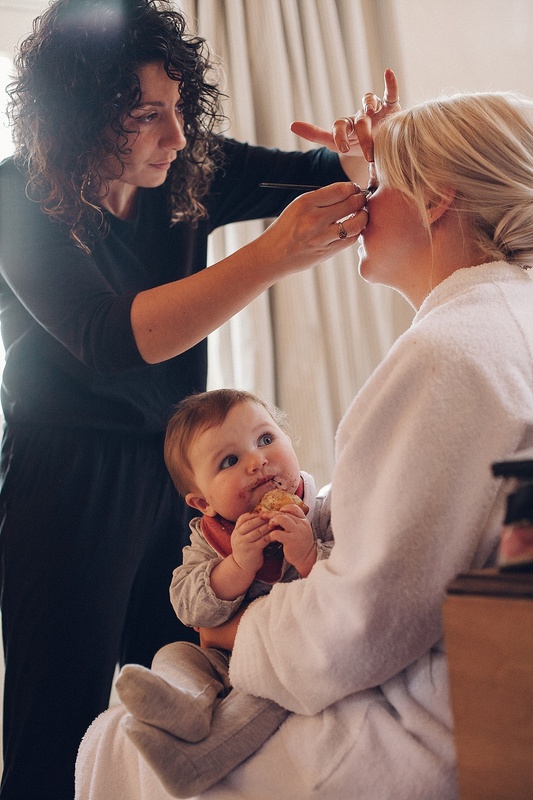 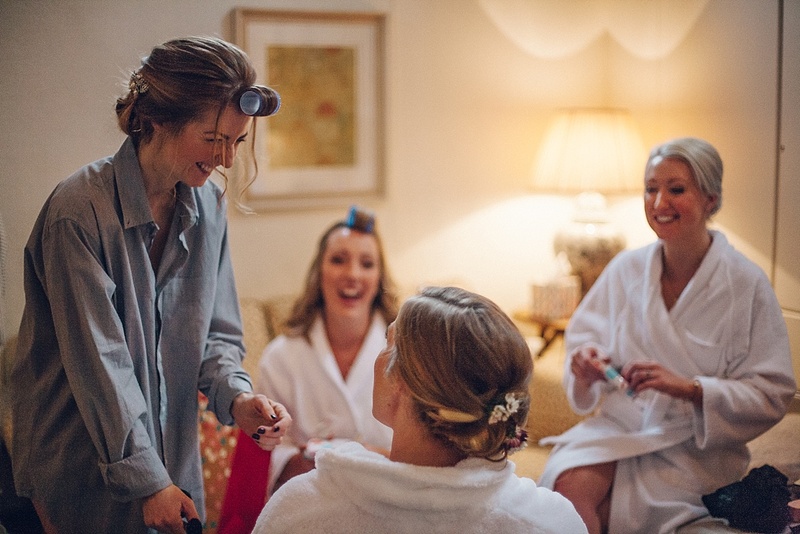 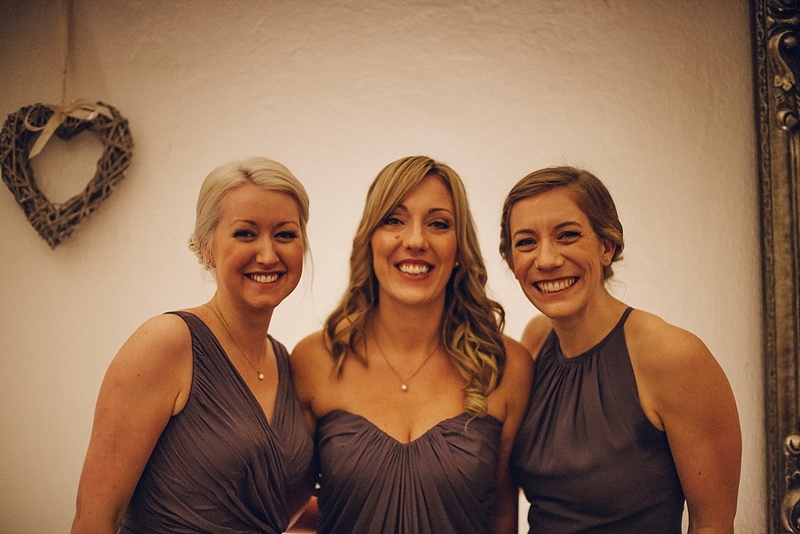 Becky and her stunning bridesmaids stayed the night in the charming stone farmhouse and spent the most fun filled, relaxed morning getting ready with endless supplies of bubbles to start the day whilst the boys went out for a pub lunch. 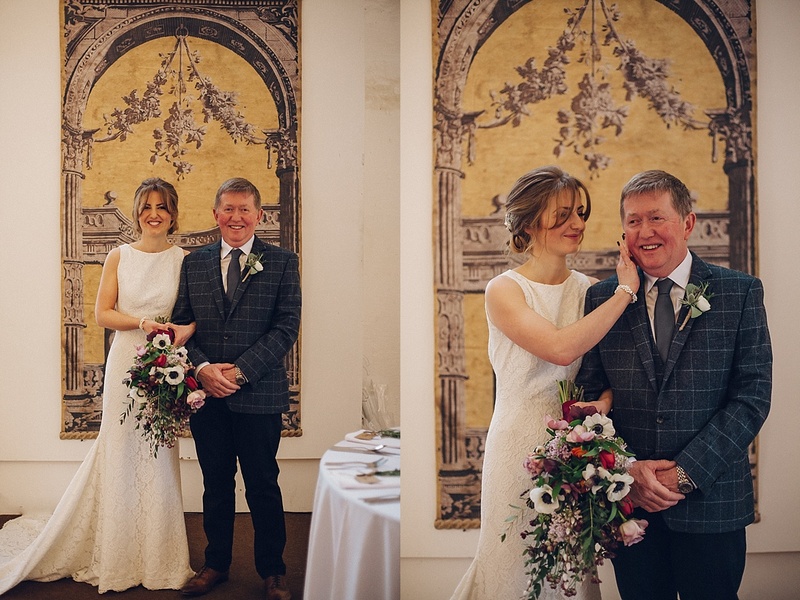 With an entourage of friends consisting of professional make up artists (Becky being one herself) and hairstylists this wonderful bride made it across the courtyard and down the aisle, arm in arm with her proud father to the man of her dreams. 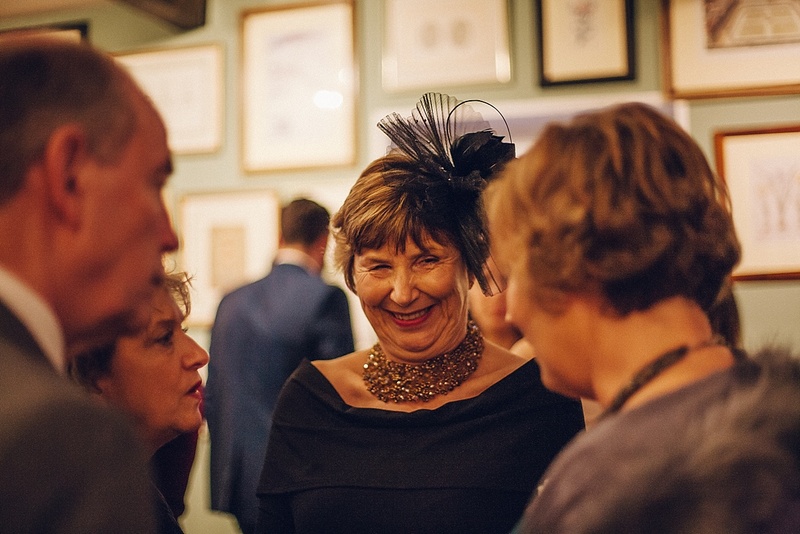 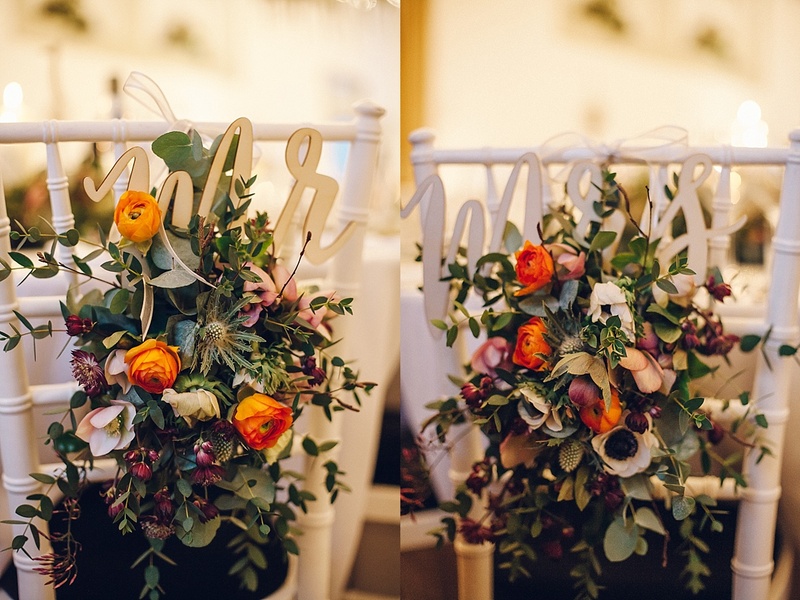 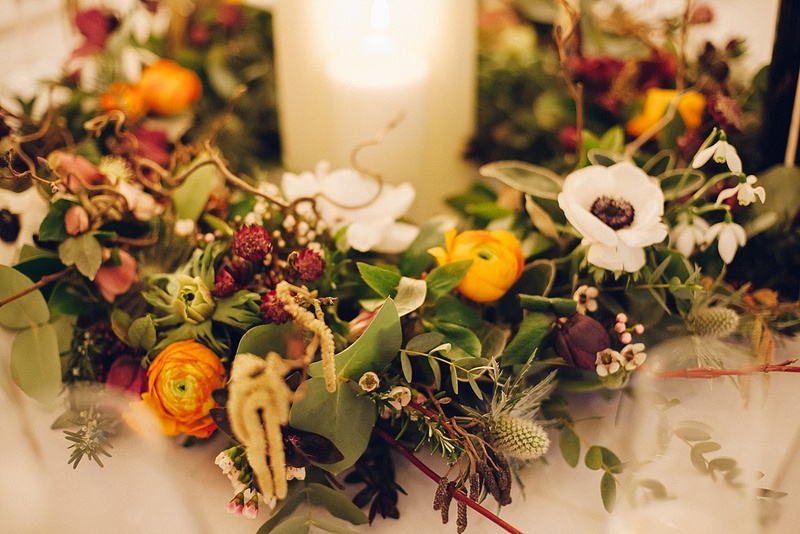 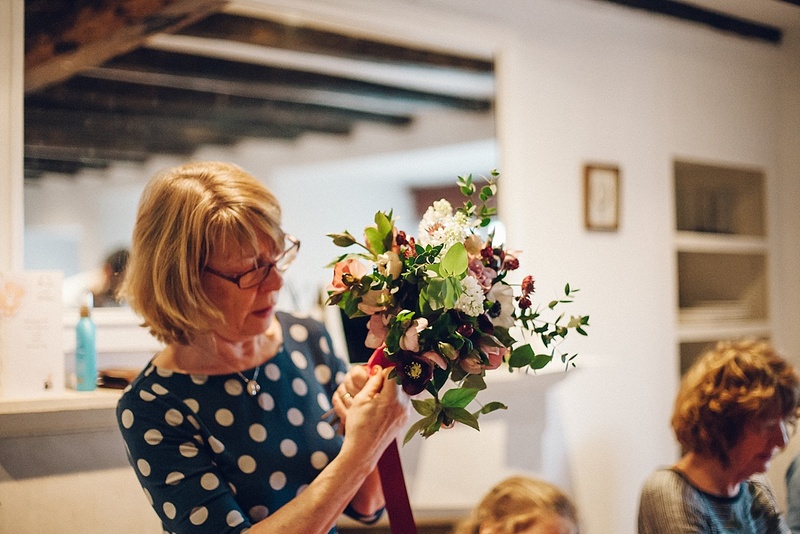 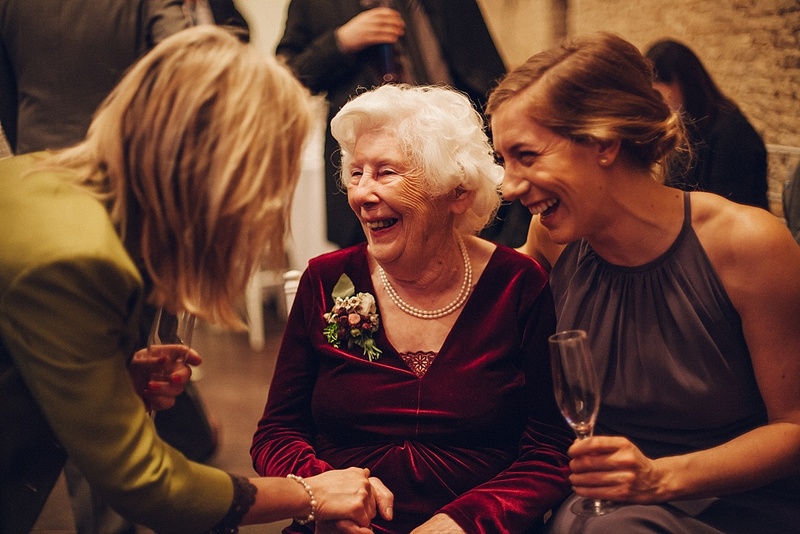 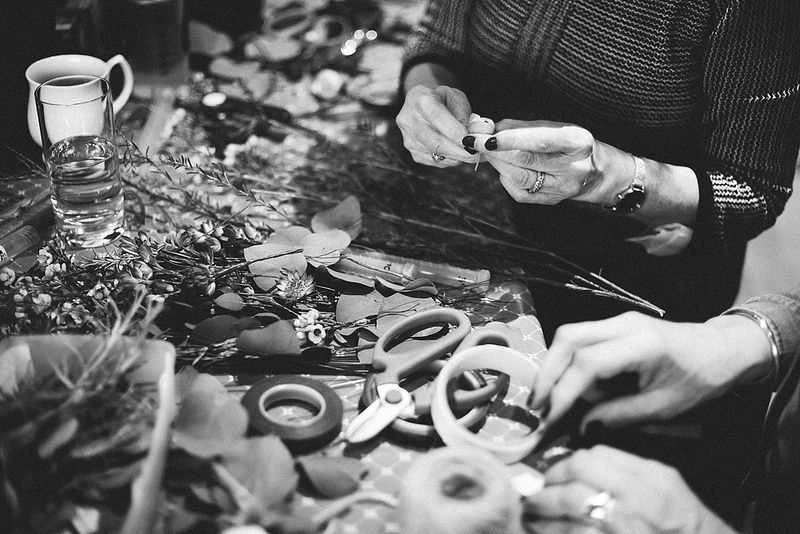 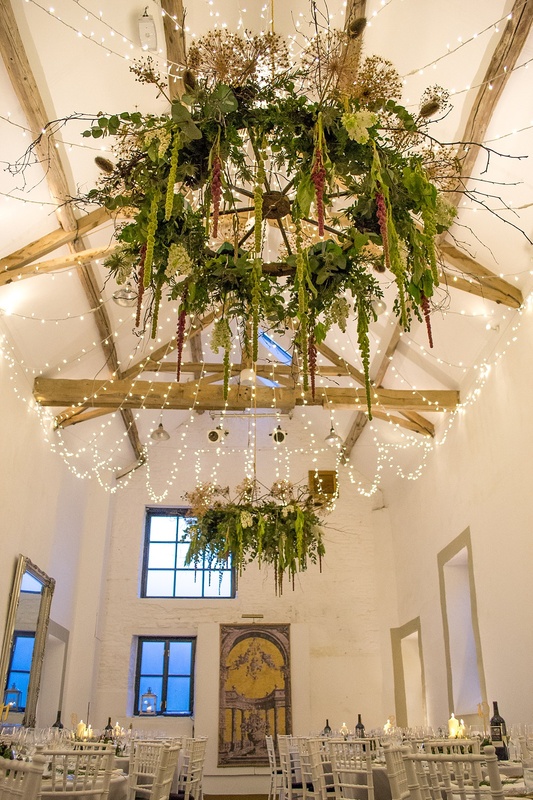 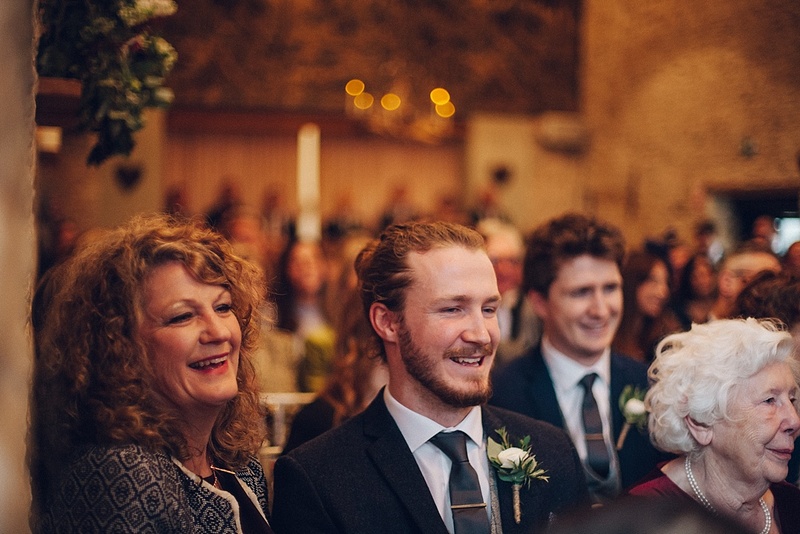 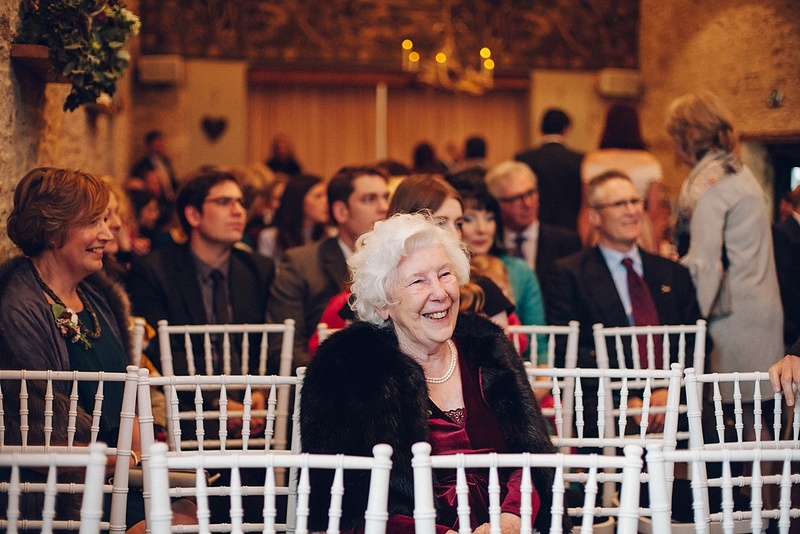 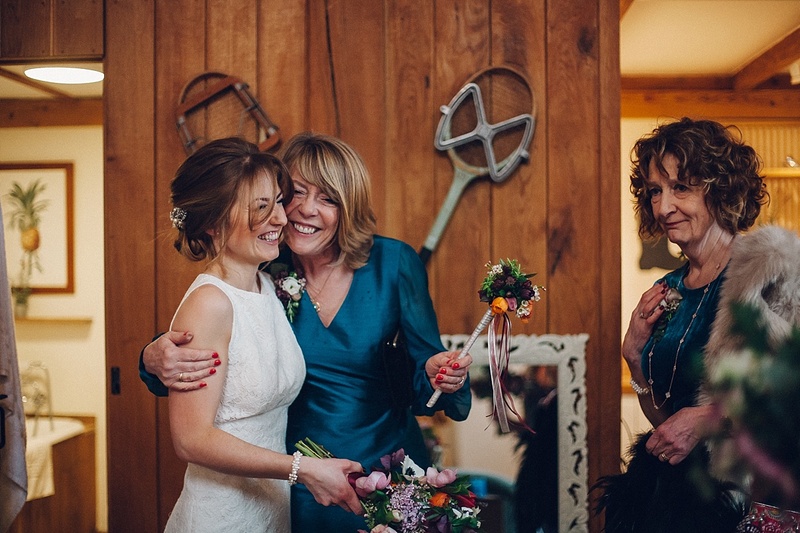 Dan’s mother, Helen and her incredible team of florists had spent the whole night before adorning the whole venue in the most spectacular array of winter flowers. 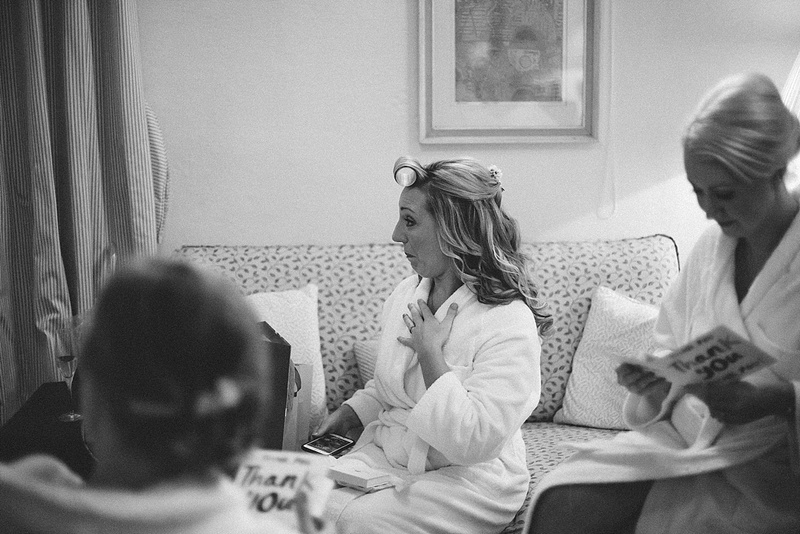 It really did take my breath away! 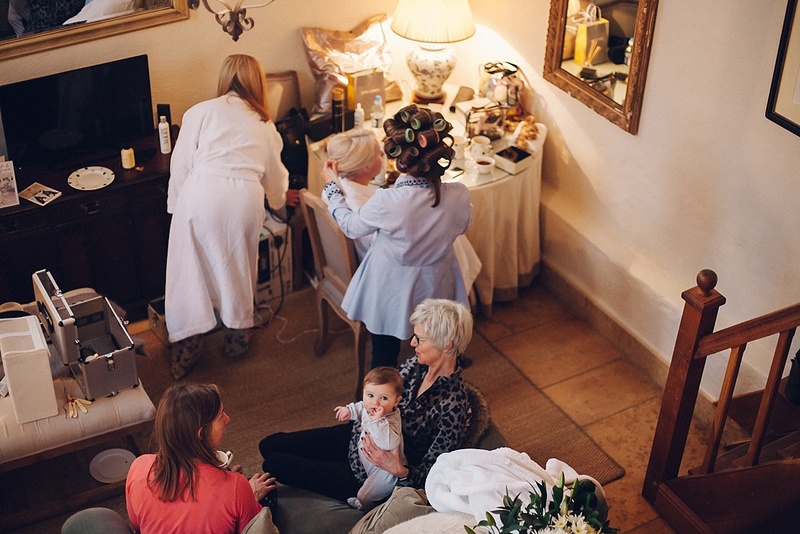 Everything was so perfect and so emotional that all her thoughts and dreams of her wedding day had been put into reality. 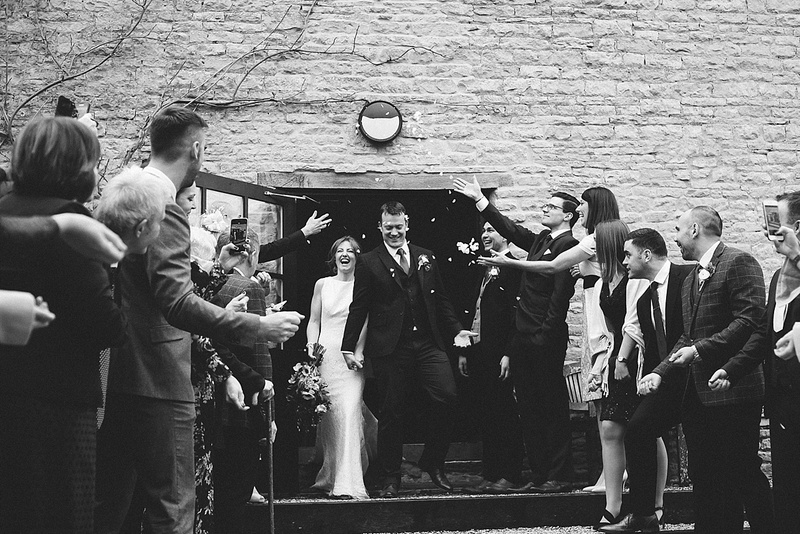 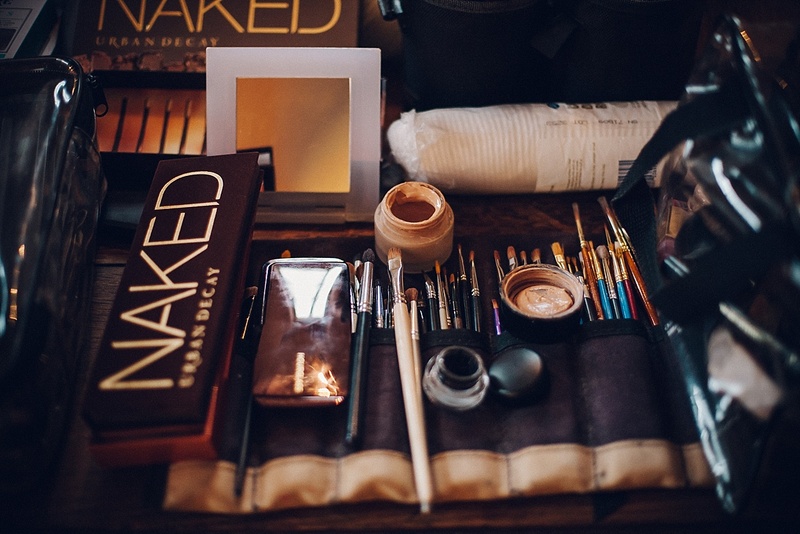 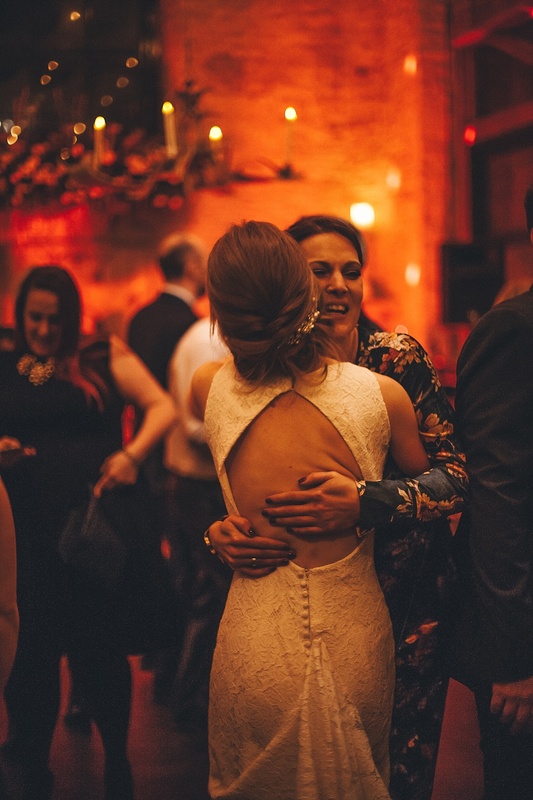 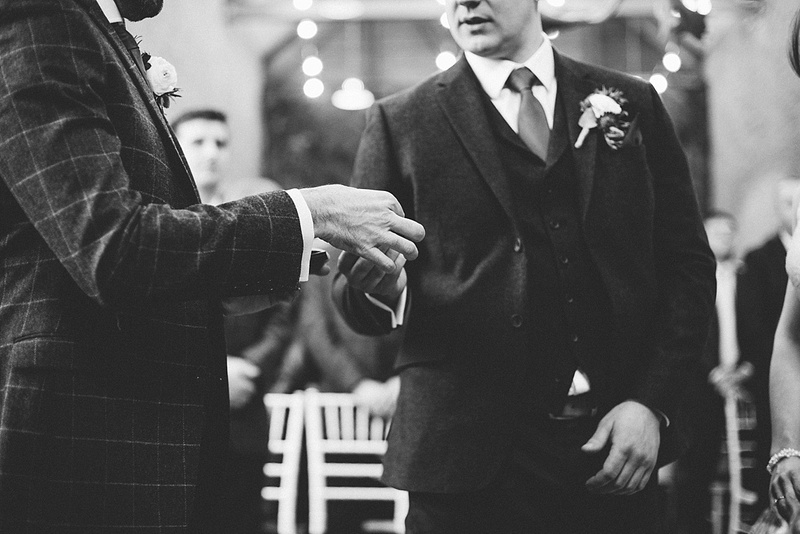 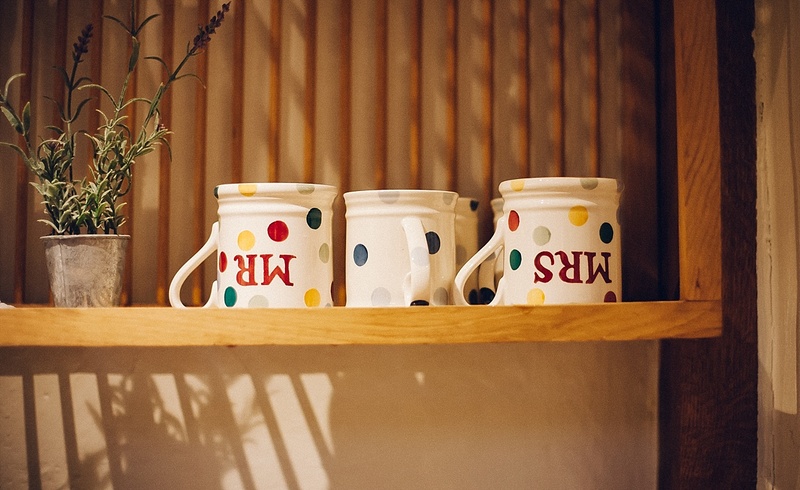 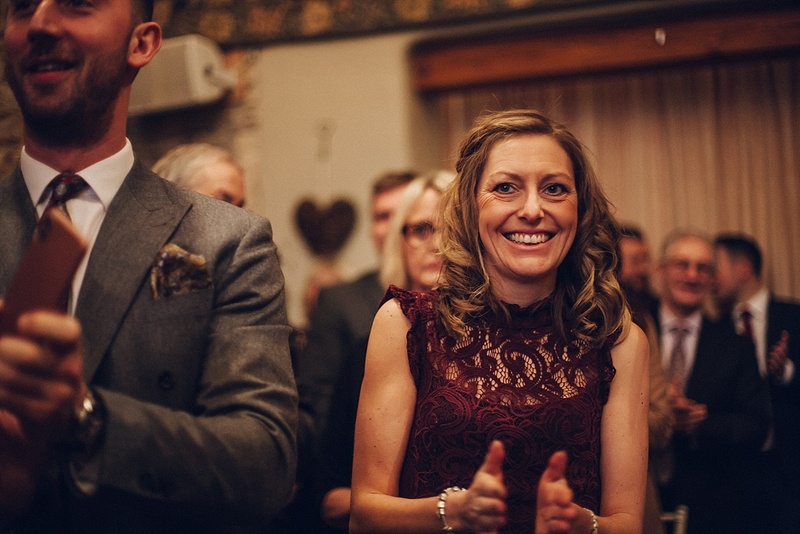 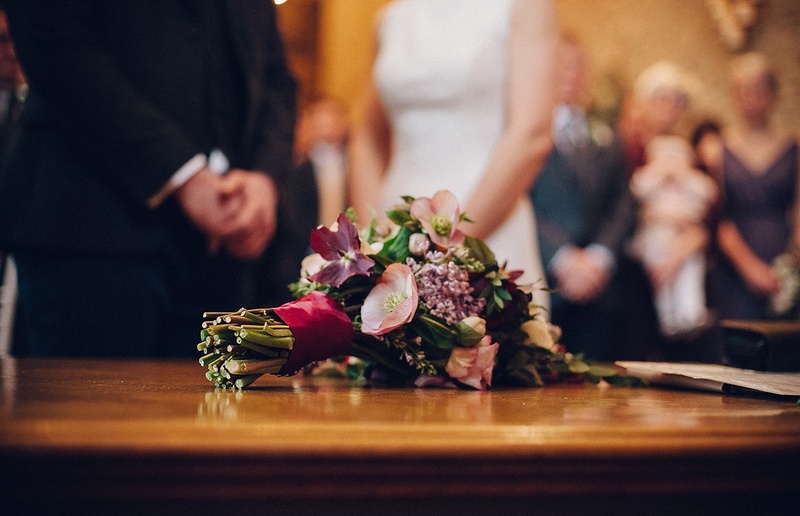 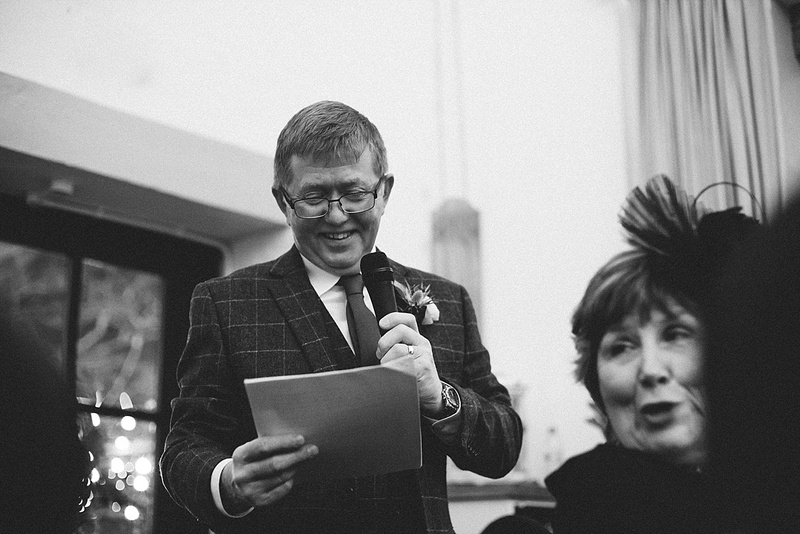 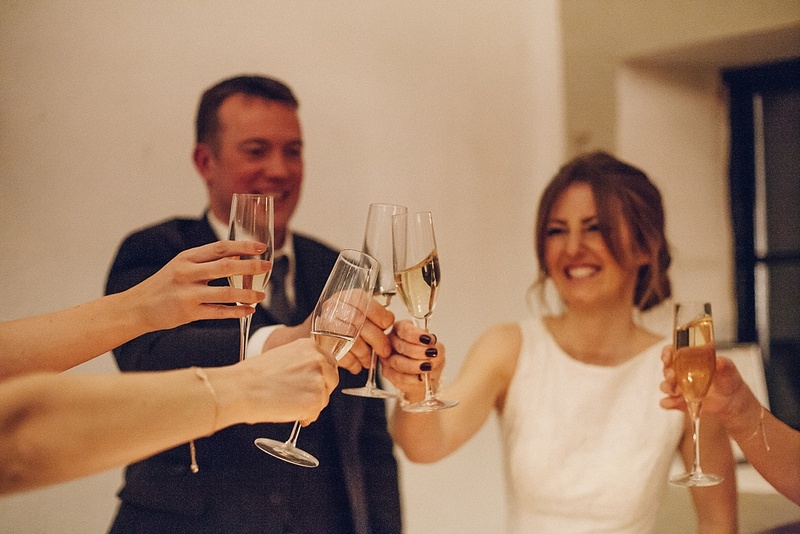 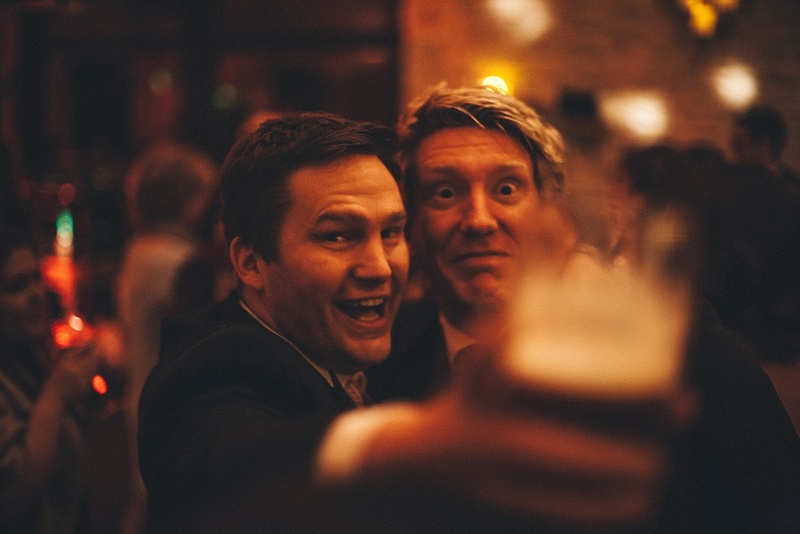 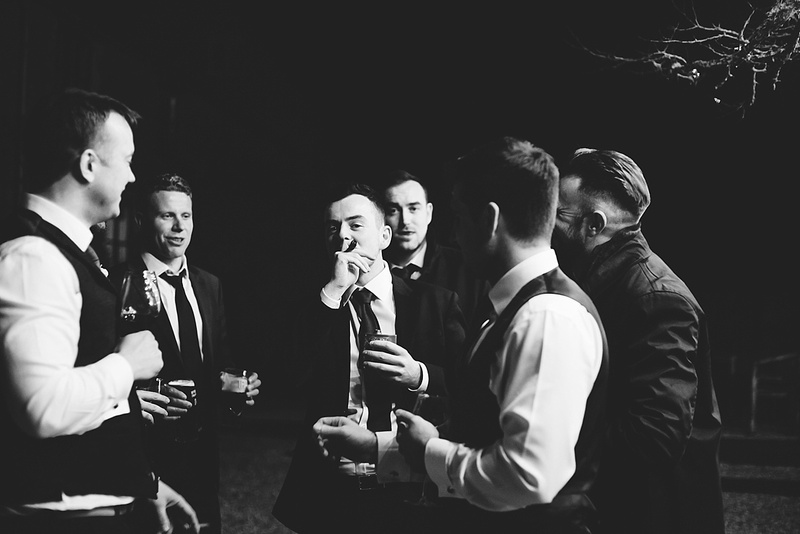 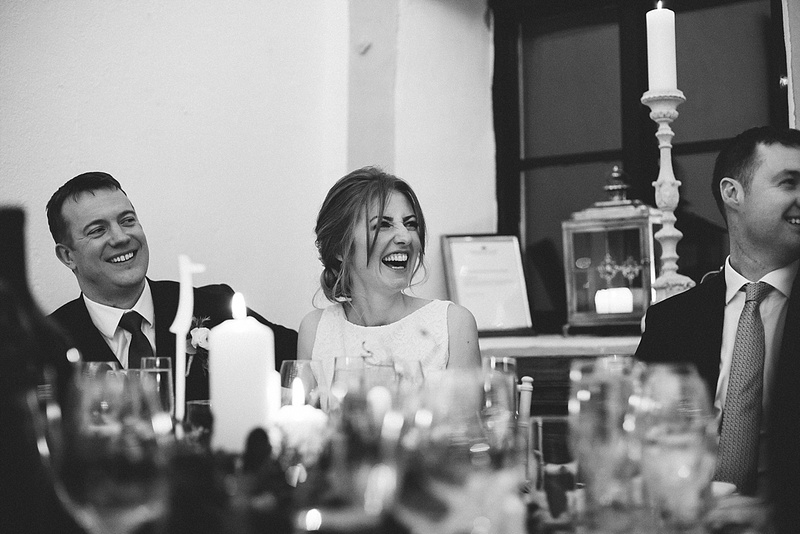 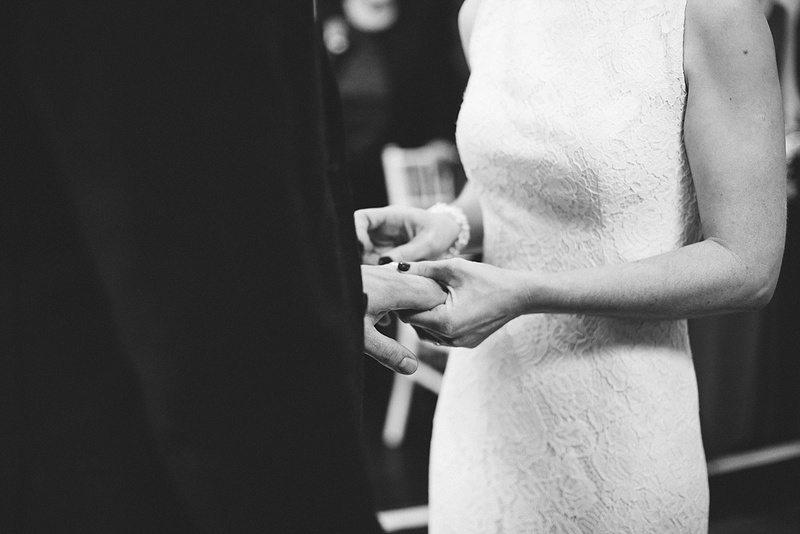 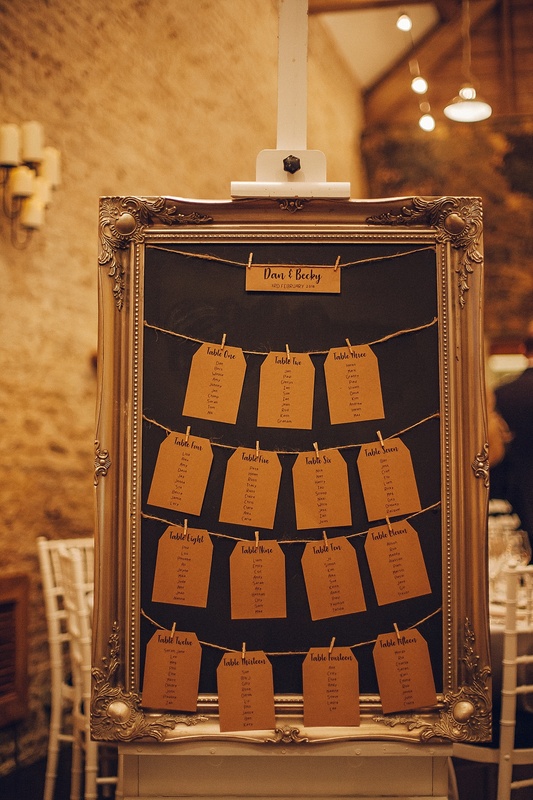 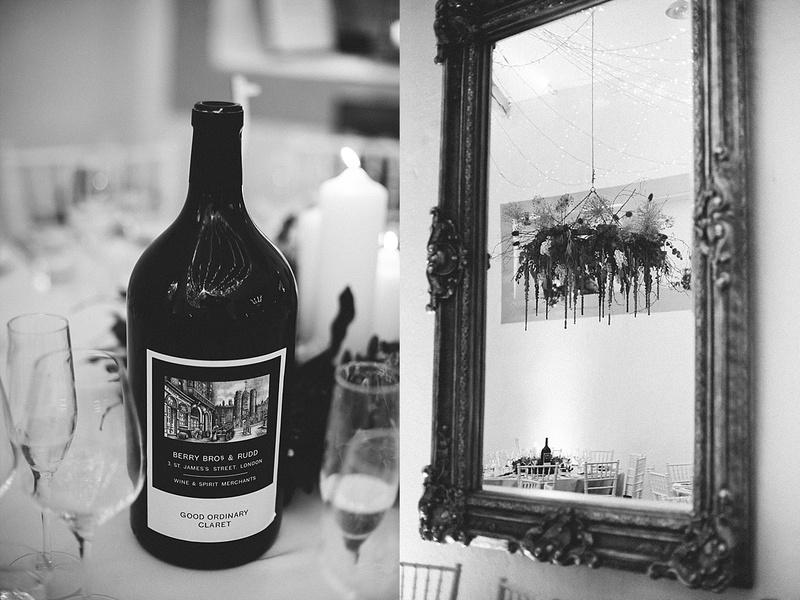 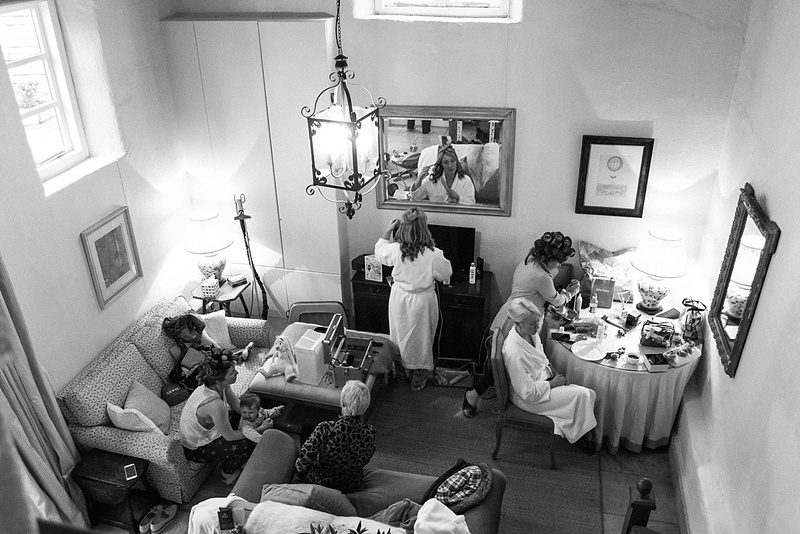 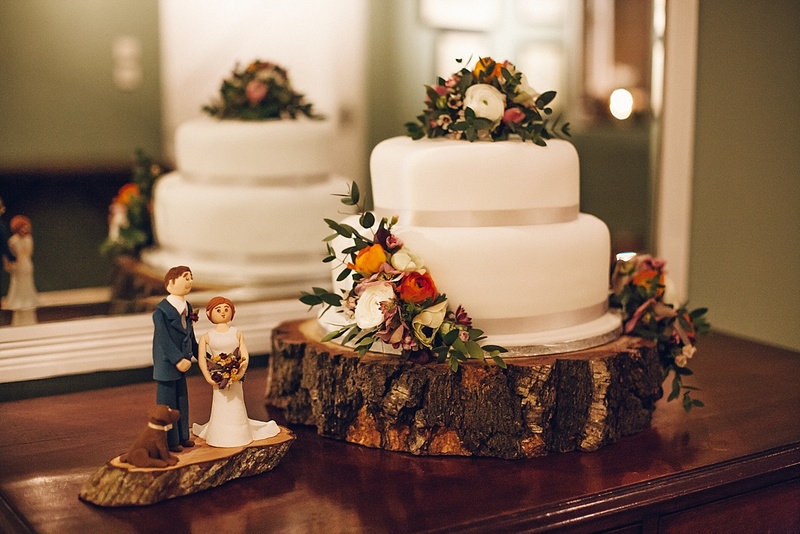 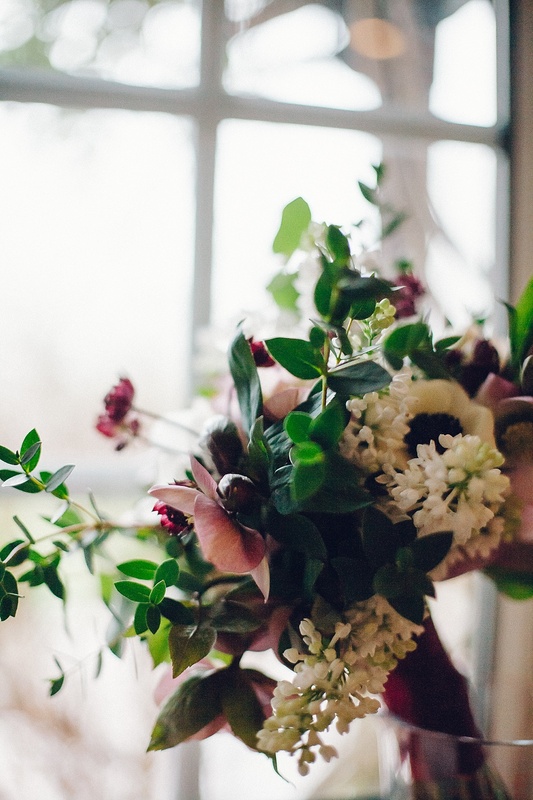 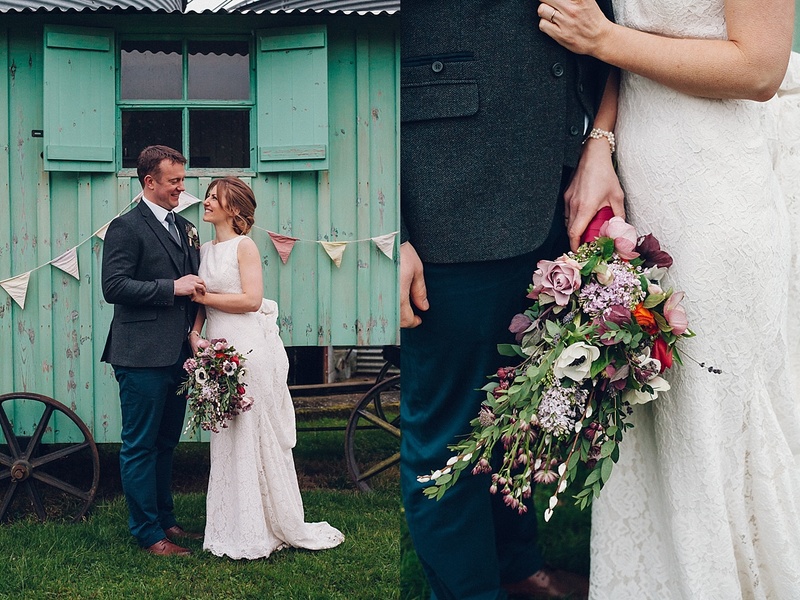 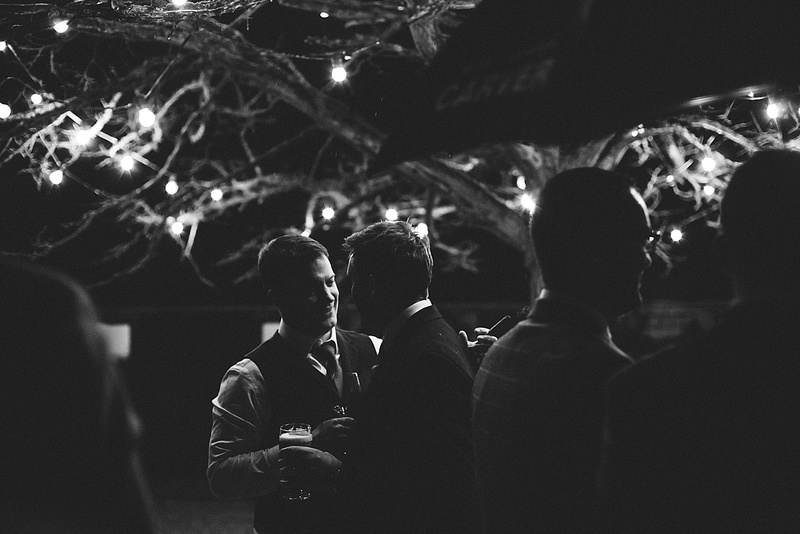 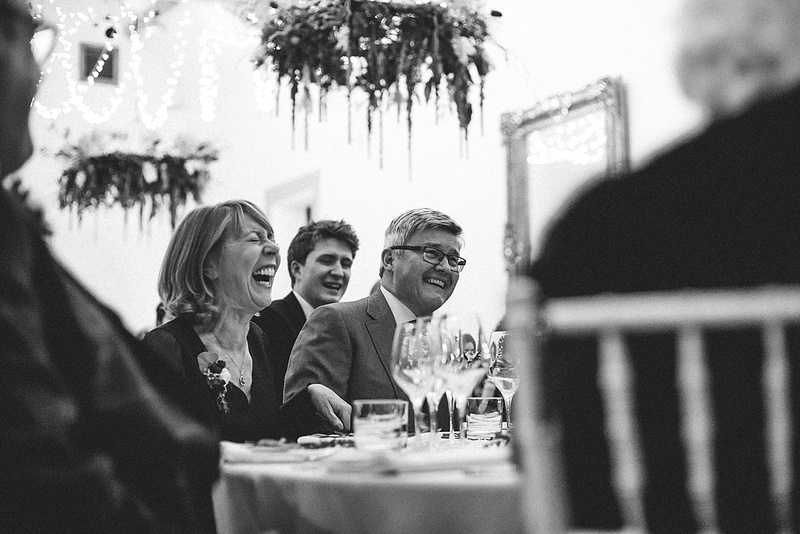 Coupled by the most loving family, friends, perfect food & plenty of drink…this wedding was absolutely PERFECT. 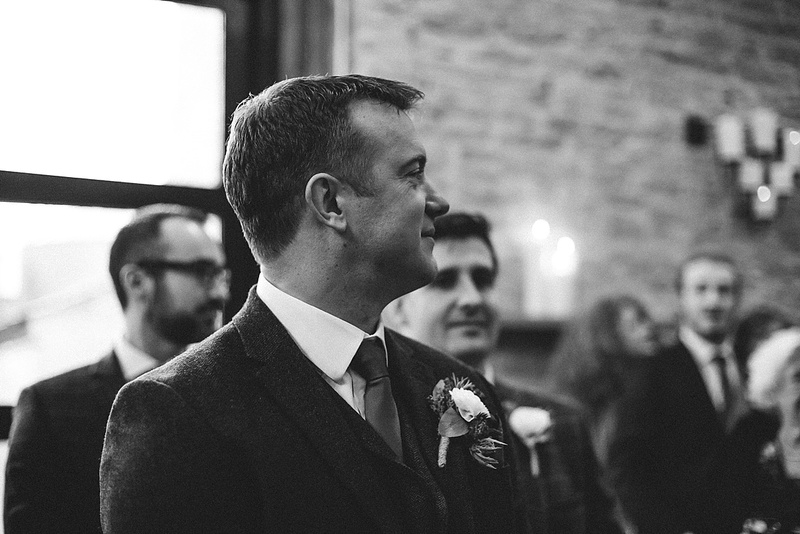 Thank you so much to both Becky & Dan for inviting me to share and capture the most incredible day of your lives together.